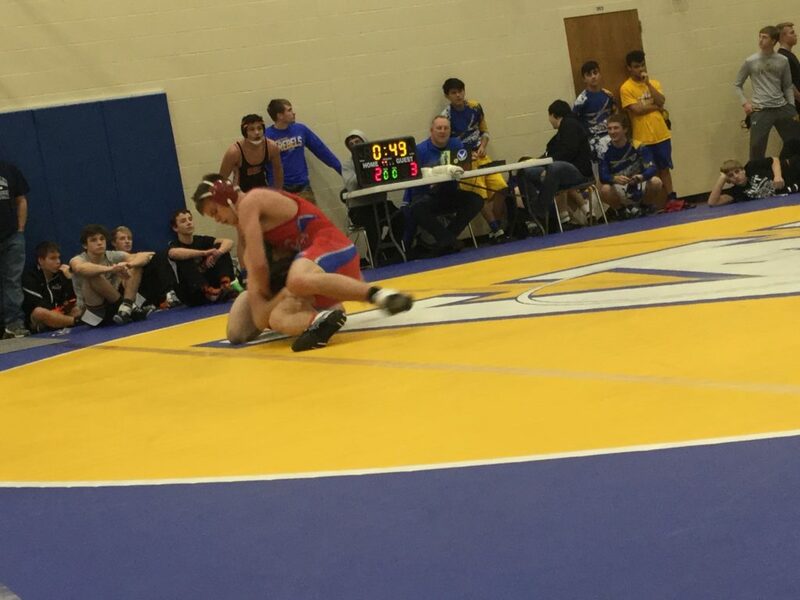 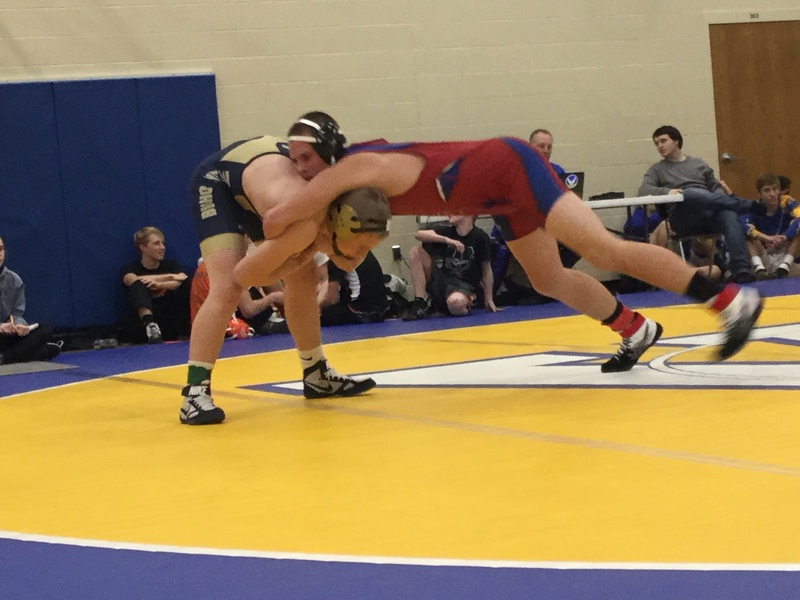 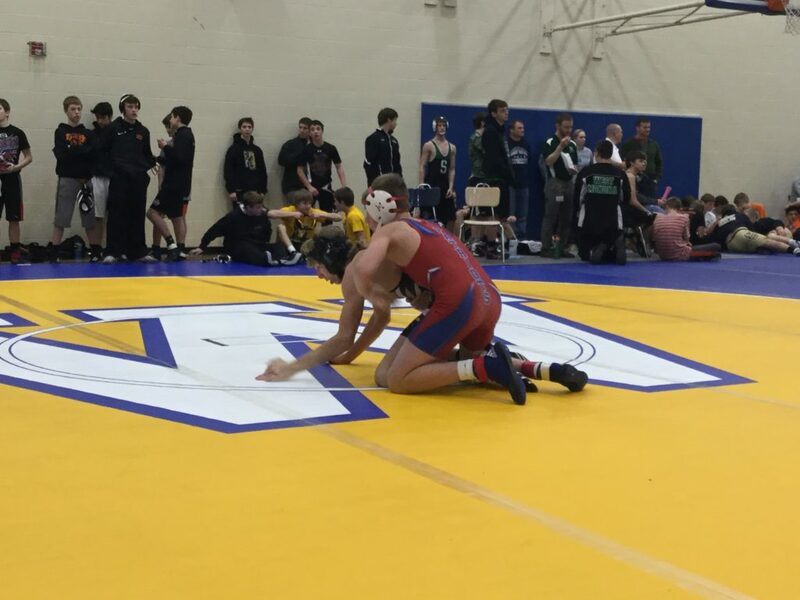 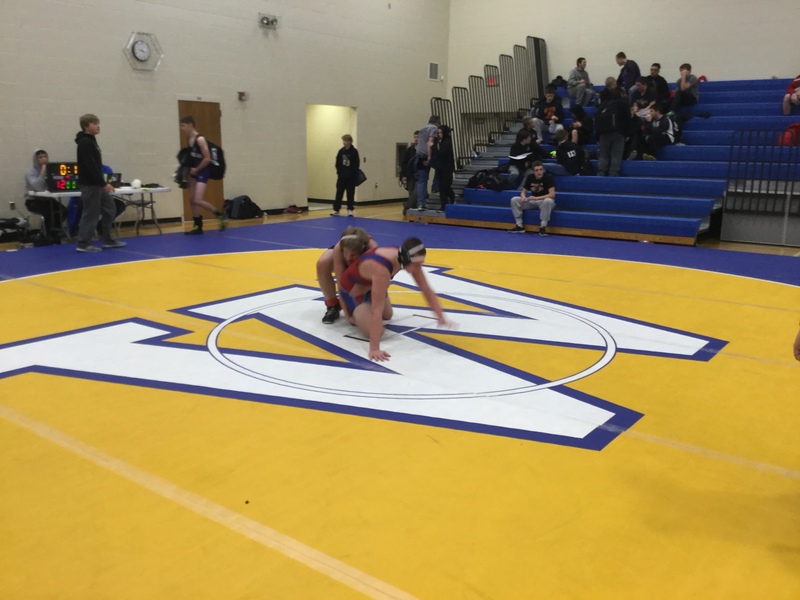 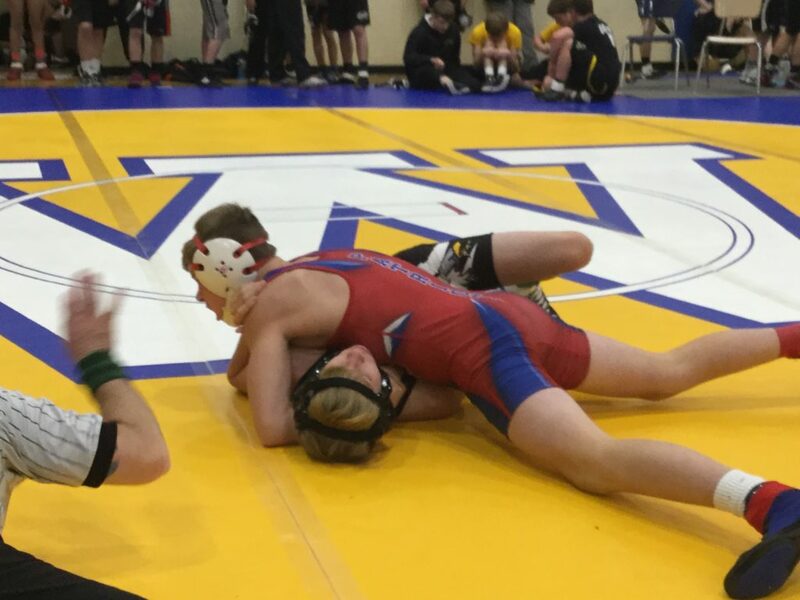 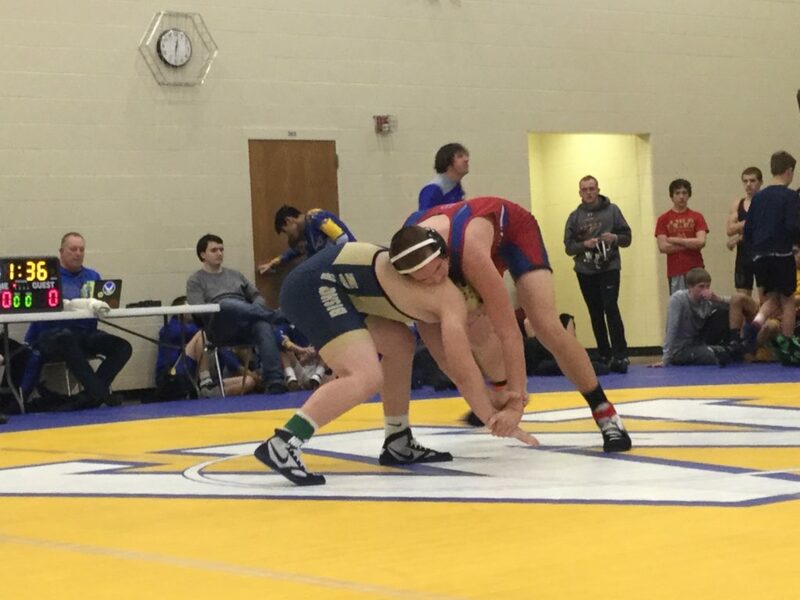 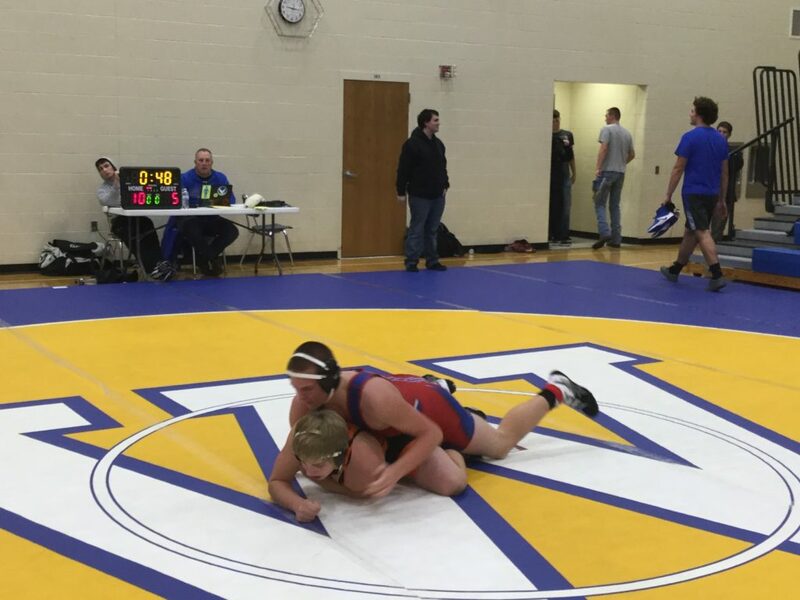 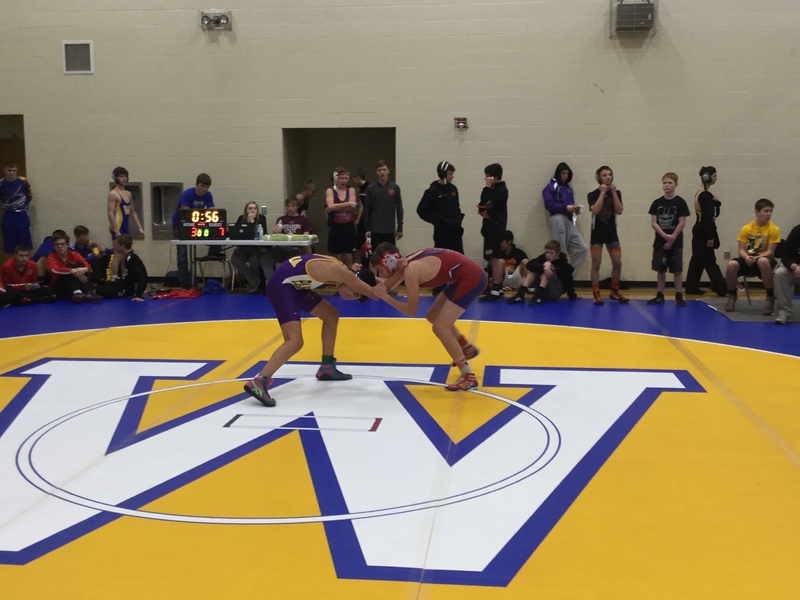 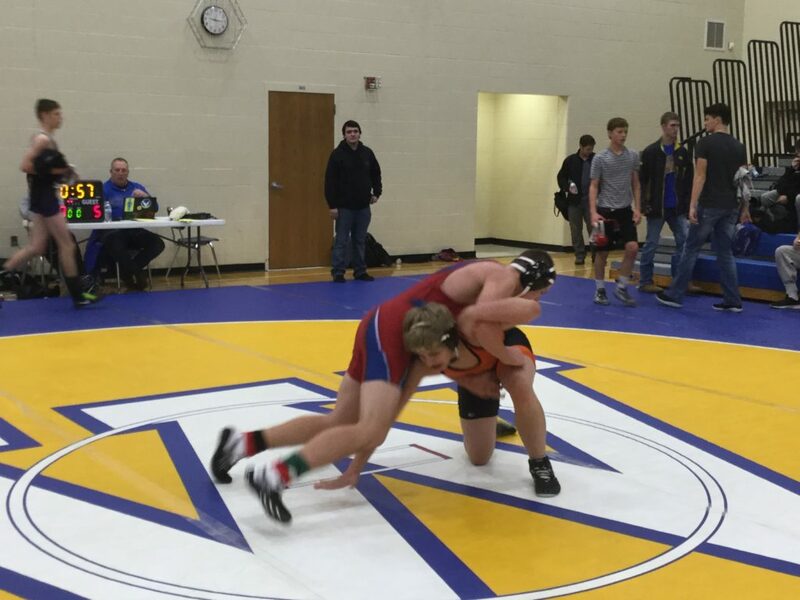 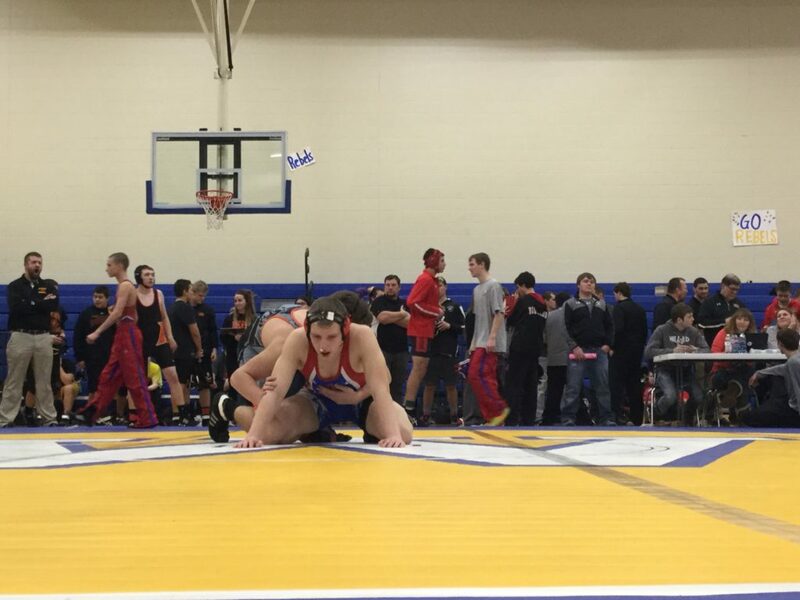 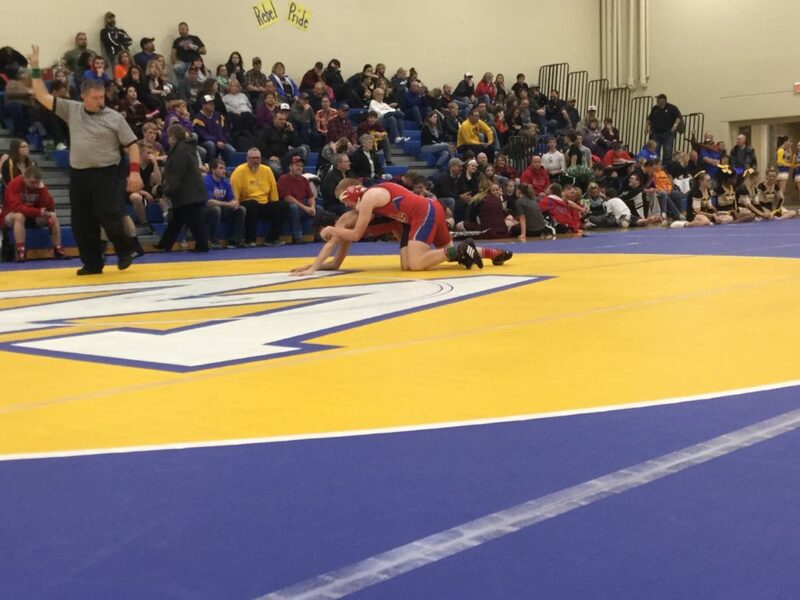 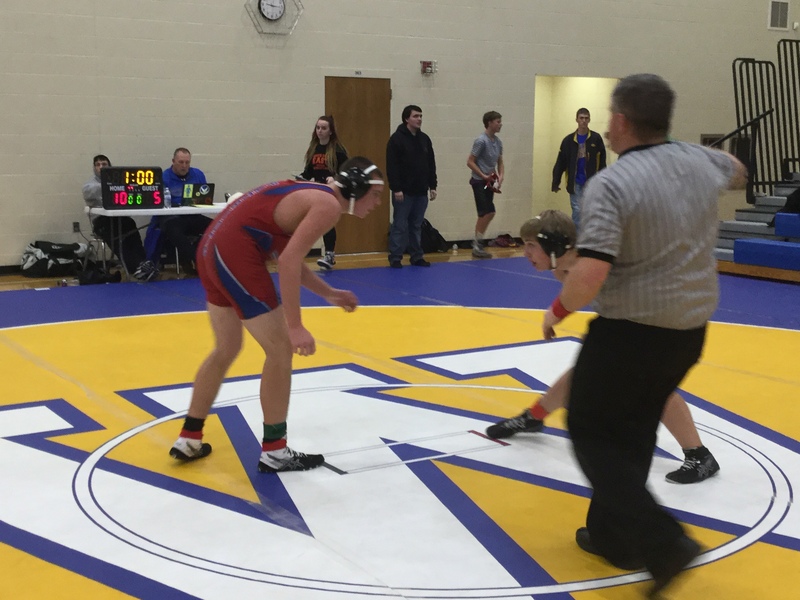 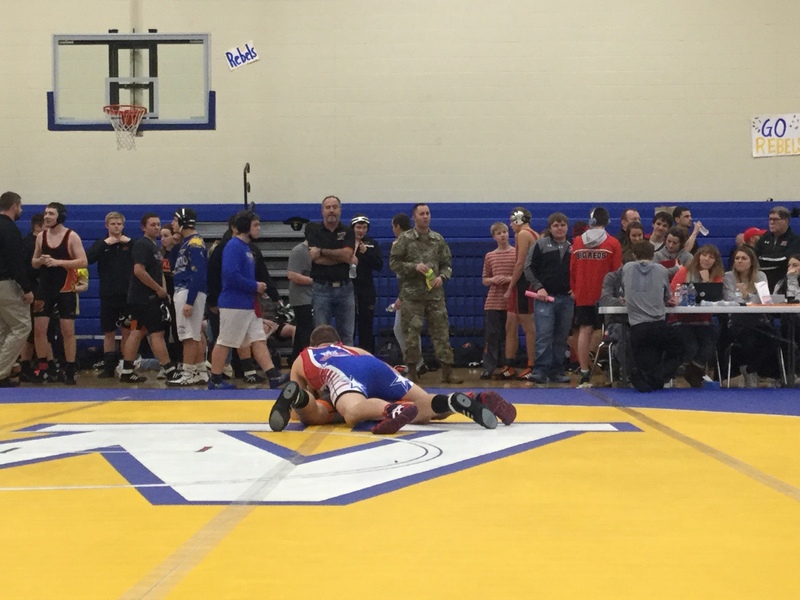 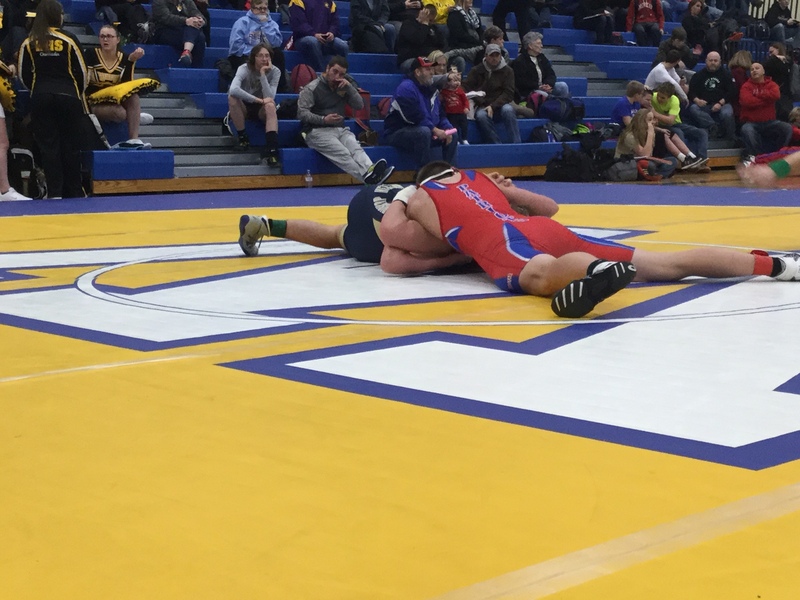 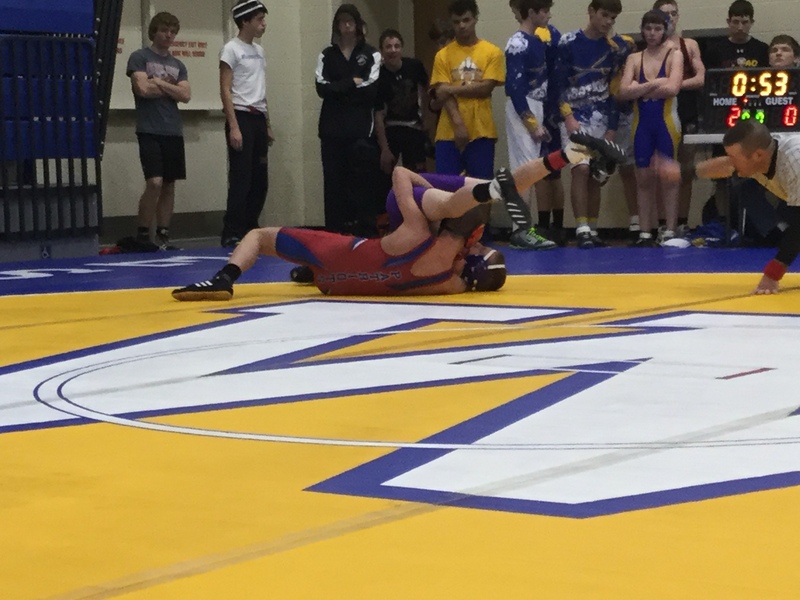 The Patriot Reserve wrestlers traveled north to Sloan, IA to wrestle in Westwood High School’s JV tournament. 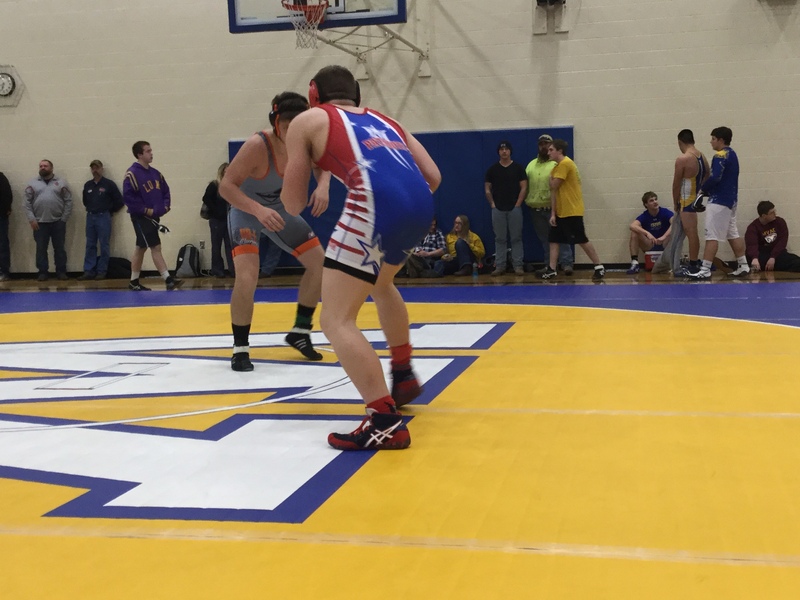 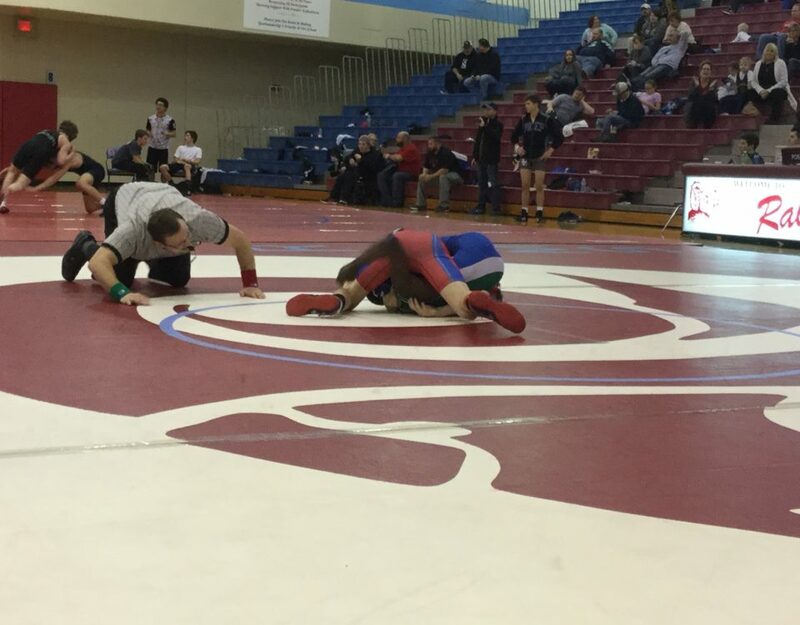 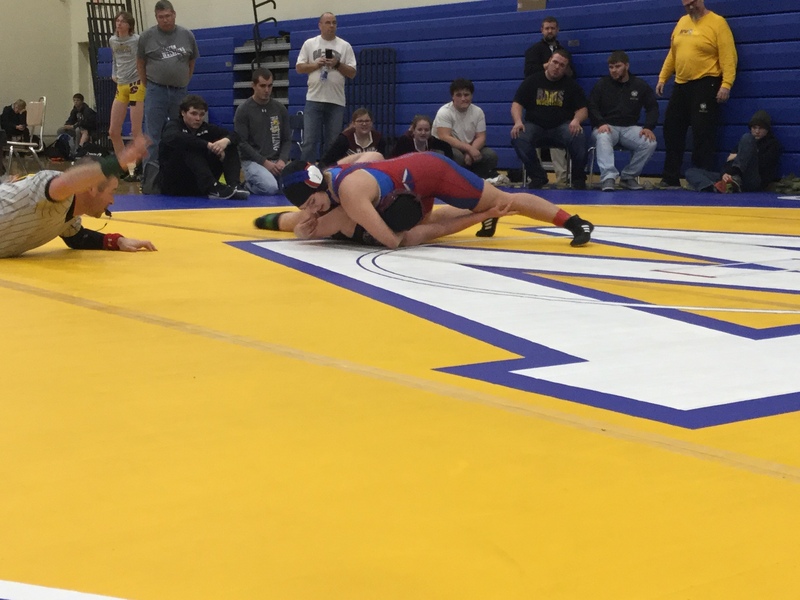 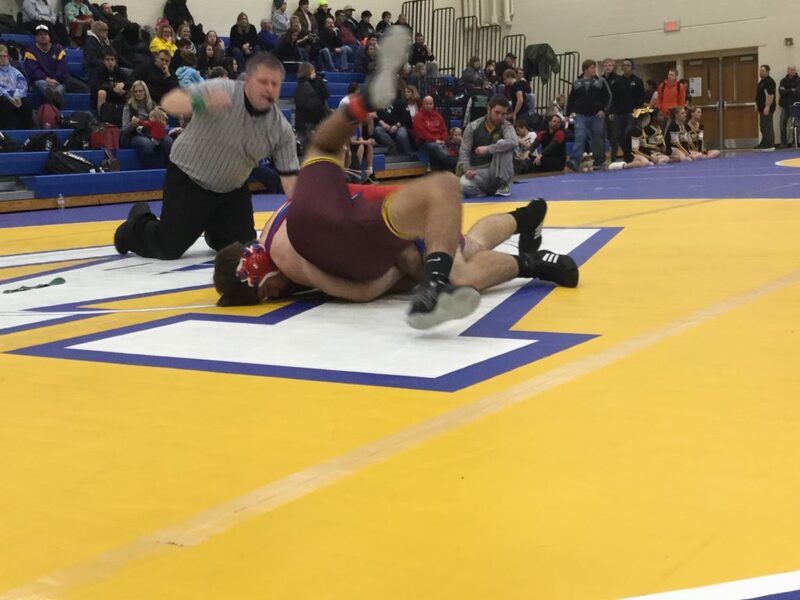 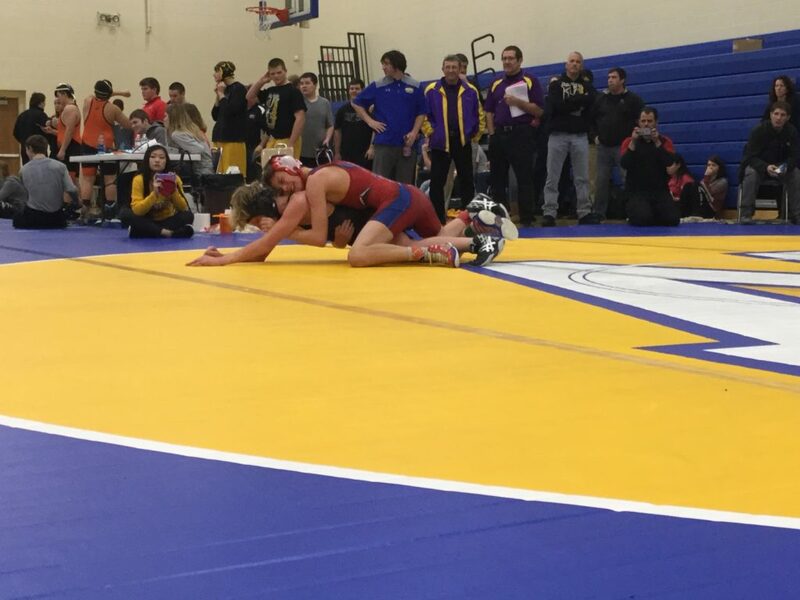 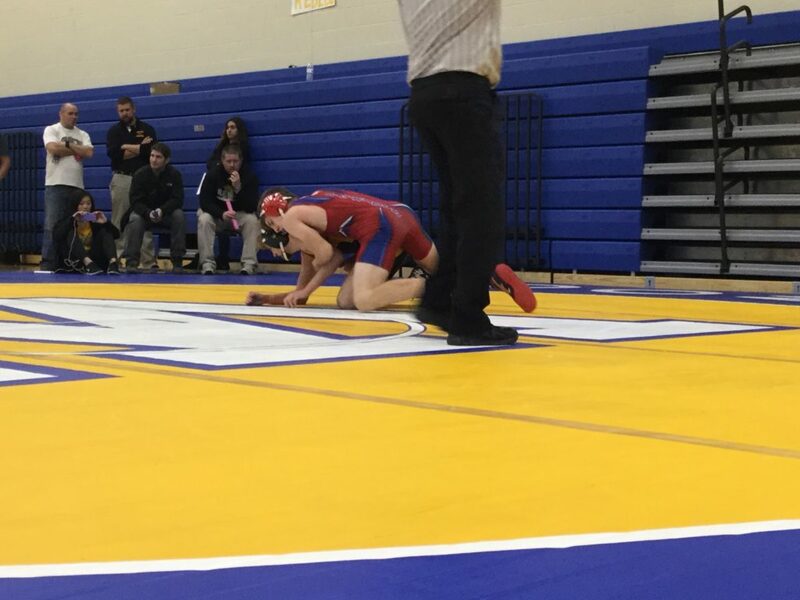 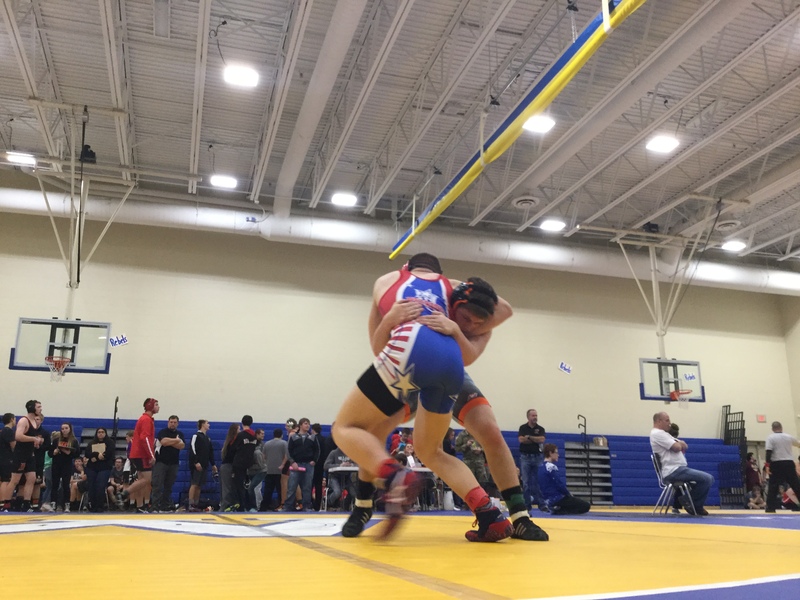 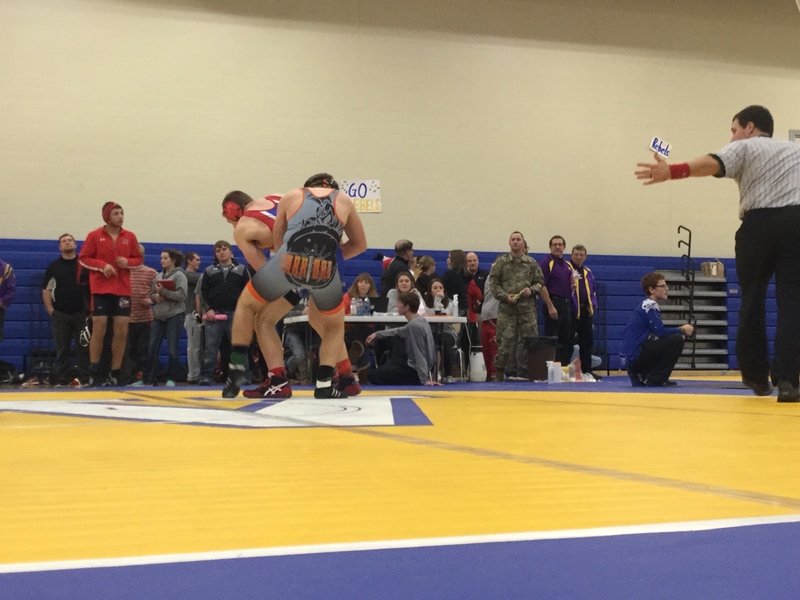 The format was a scramble with the goal of getting wrestlers matches so they can continue to build their skills There were 14 Patriots that competed in the event and many of them competed with high intensity despite their inexperience. 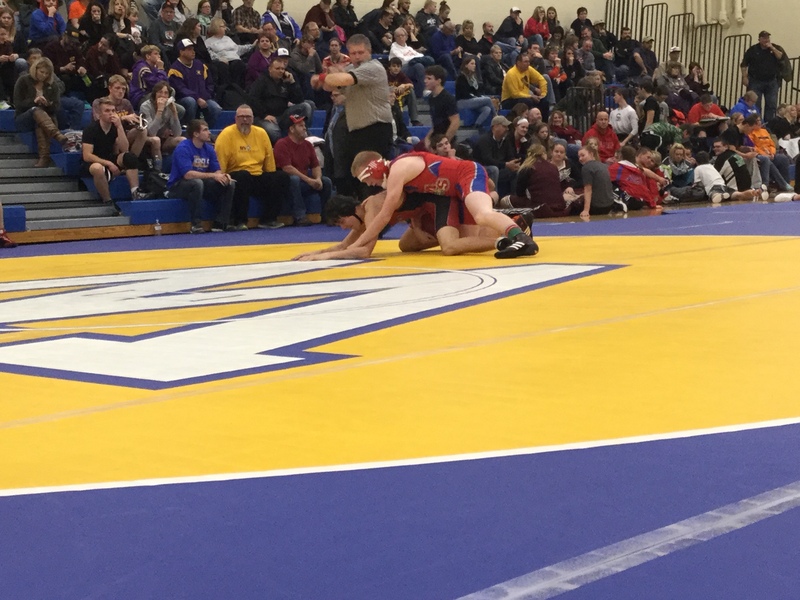 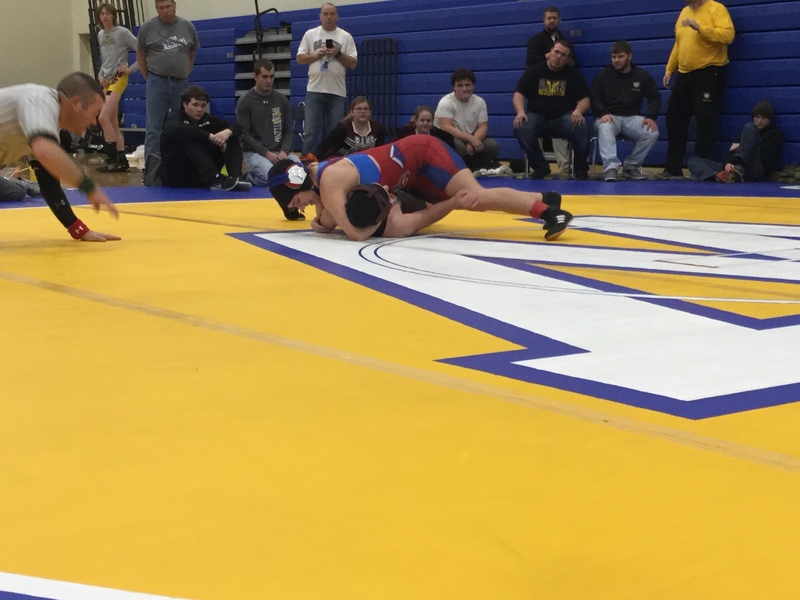 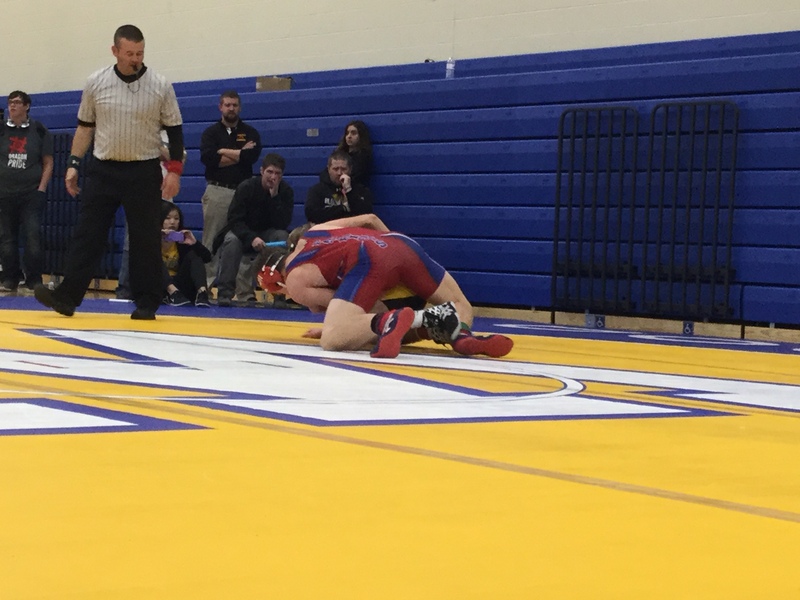 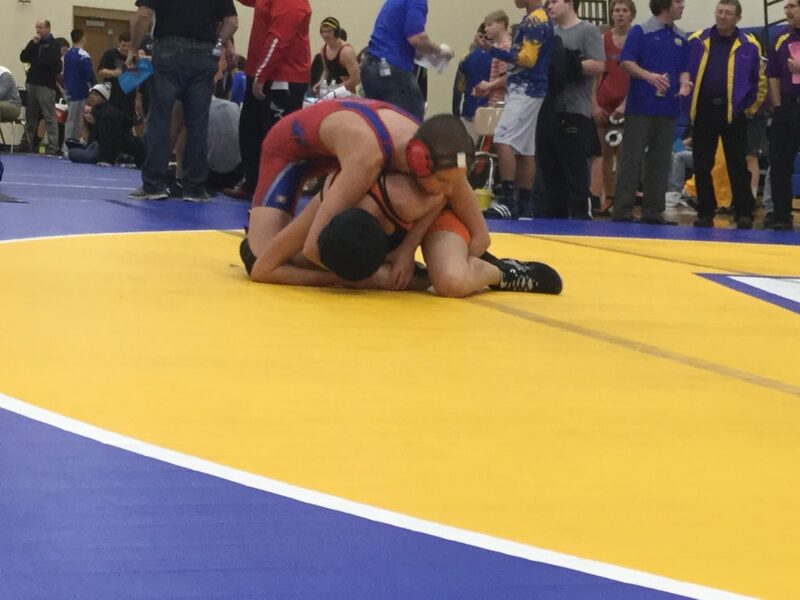 The Patriots were lead by sparkplug Garry Boro’s championship effort at the 106 pound weight class. 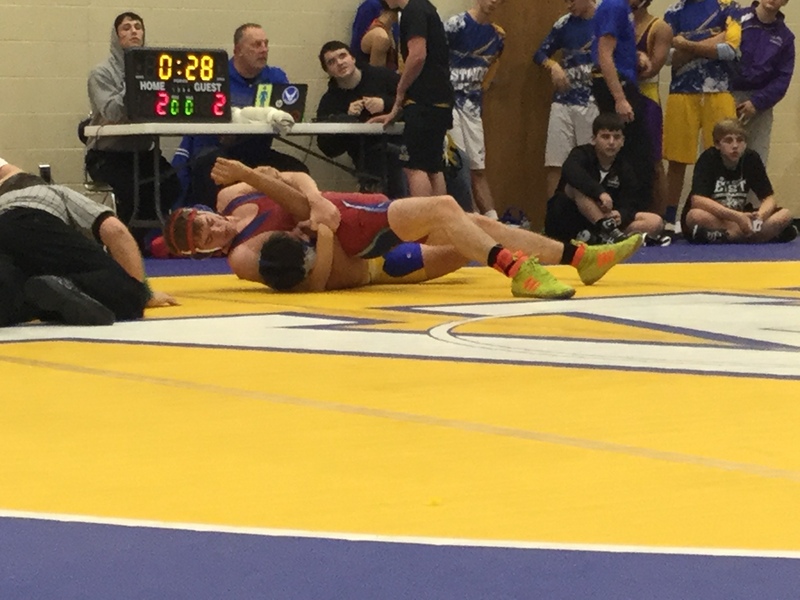 Boro pinned all 3 opponents in the first period. Boro is a relatively inexperienced wrestler, but makes up for his technical deficiencies with high effort and takes advantage of his opponents mistakes. 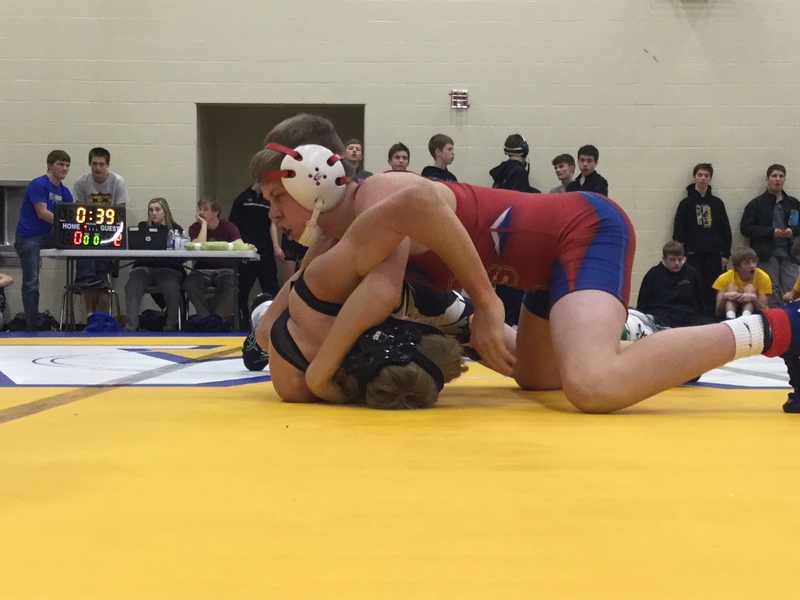 The Patriots also had runner-up finishes from Jeremiah Sistek, Barrett Hermanson, Mason McNatt, Garrett Grossman, and Cade Sortino. 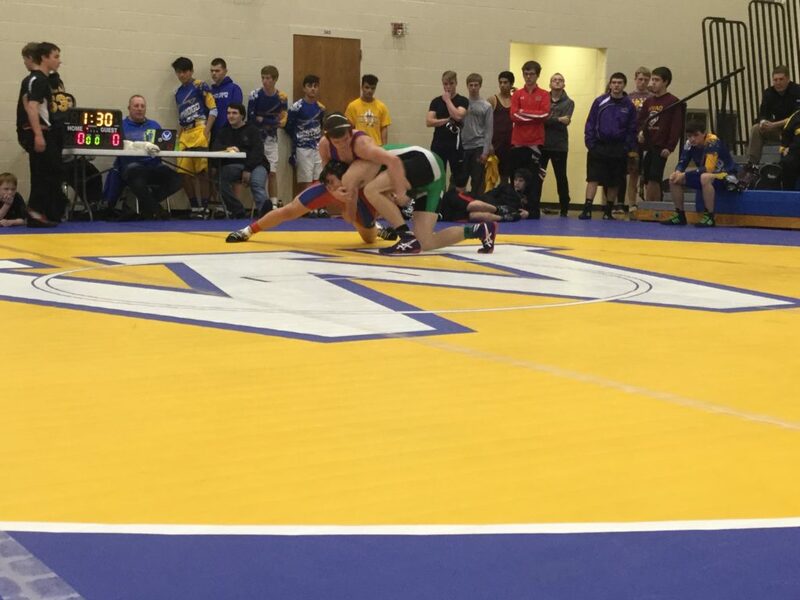 All three flashed their potential, but they also were able to pick up some valuable lessons during their matches that they can continue to work on. 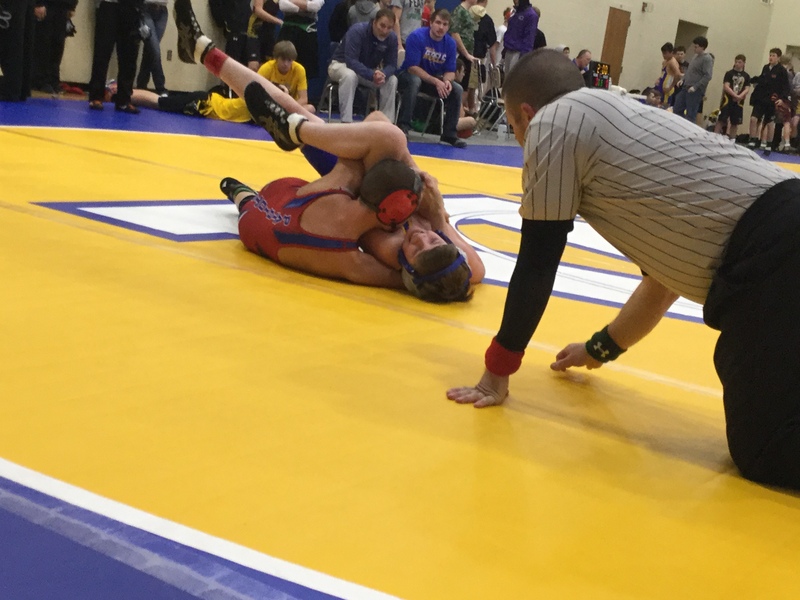 JV Tournament 98-107 – Garry Boro’s place is 1st and has scored 20.00 team points. 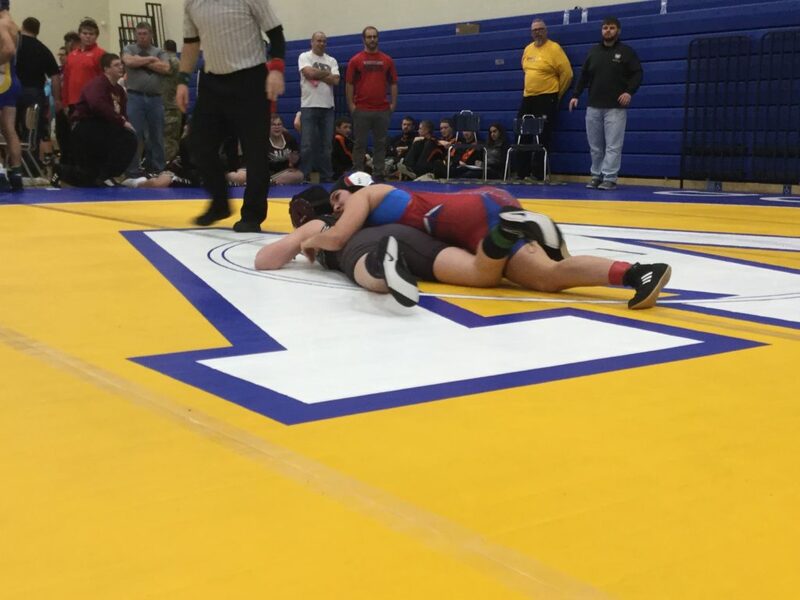 JV Tournament 105-112 – Gavin Hill’s place is 3rd and has scored 7.00 team points. 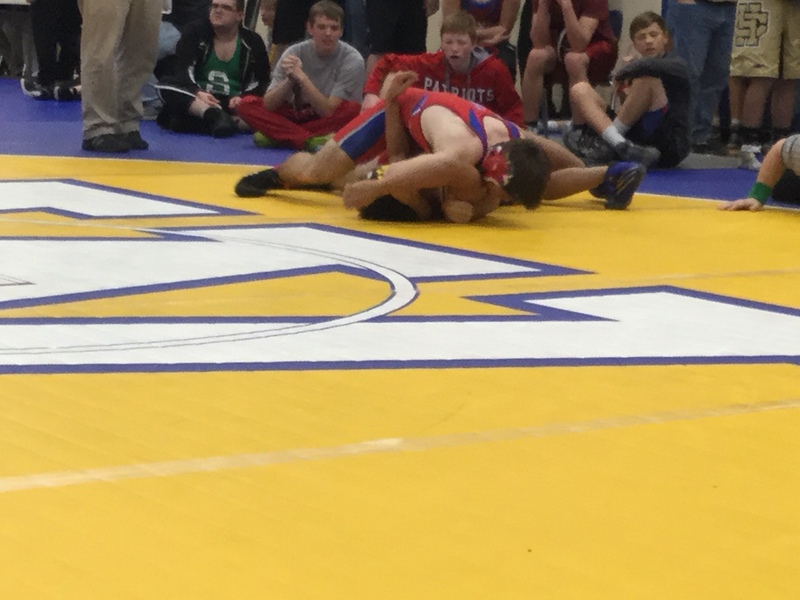 JV Tournament 113-115 – Tyler Woodward’s place is 3rd and has scored 9.00 team points. 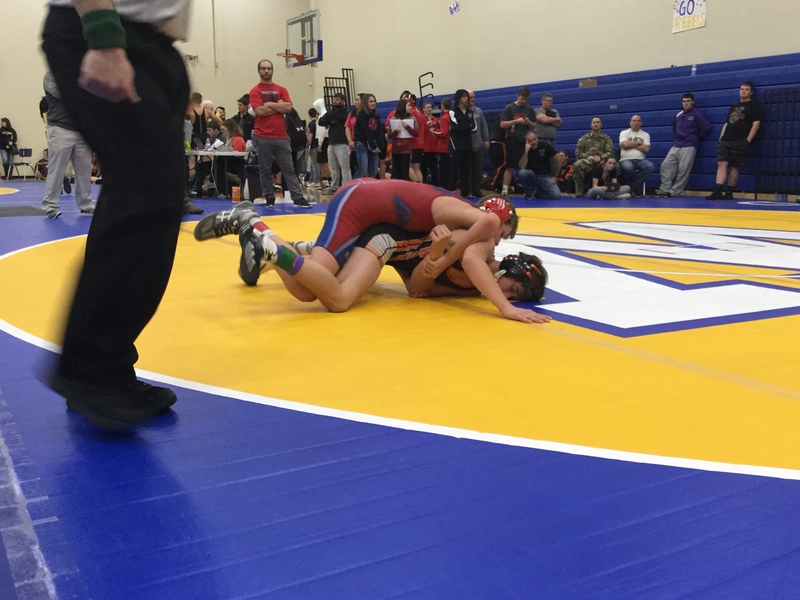 JV Tournament 120-128 – Lily Orellana’s place is 3rd and has scored 7.00 team points. 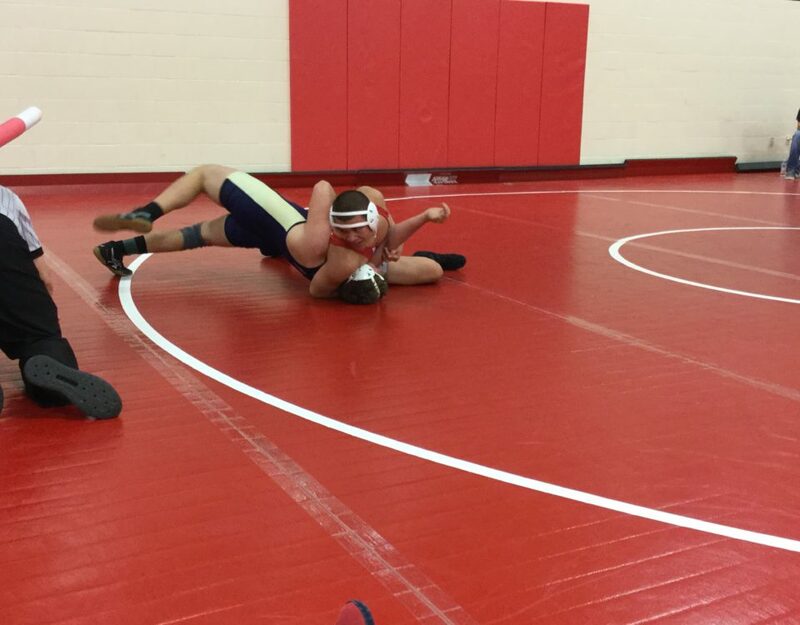 JV Tournament 125-126 – Jeremiah Sistek’s place is 2nd and has scored 10.00 team points. 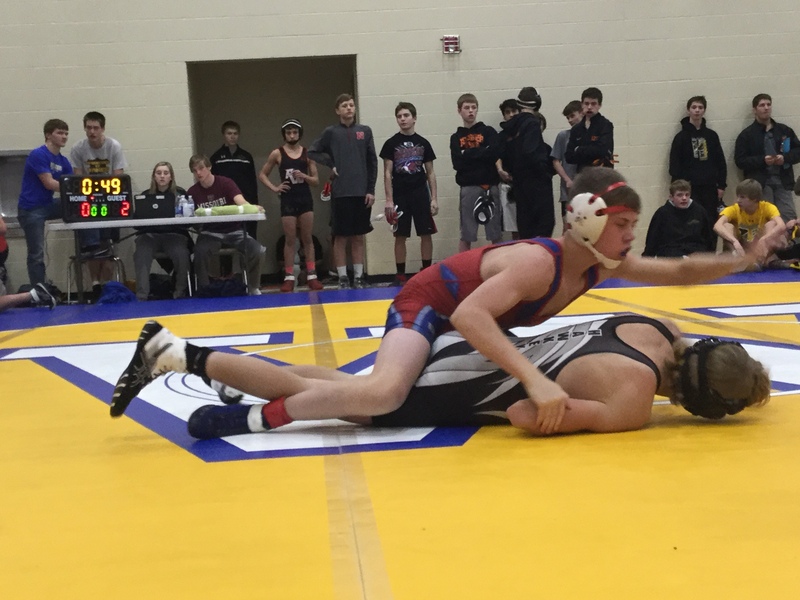 JV Tournament 125-132 – Joshua Koehler’s place is 4th and has scored 4.00 team points. 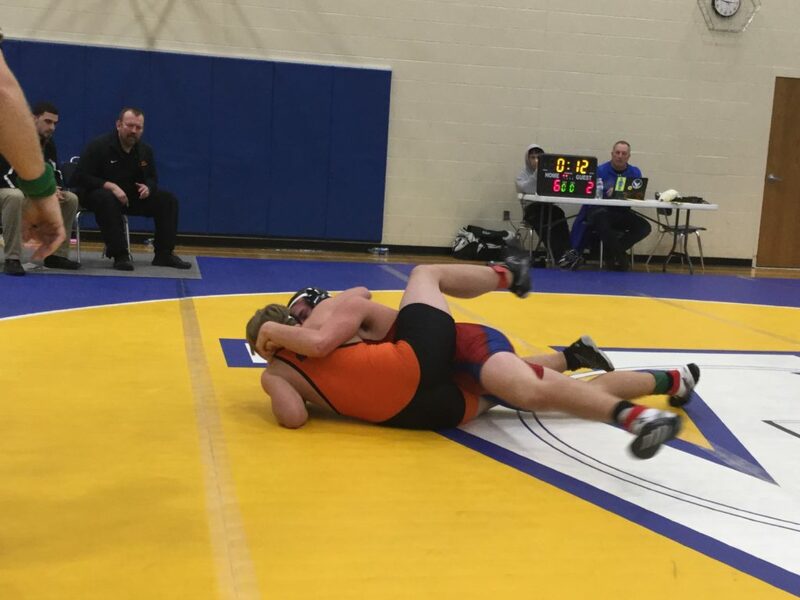 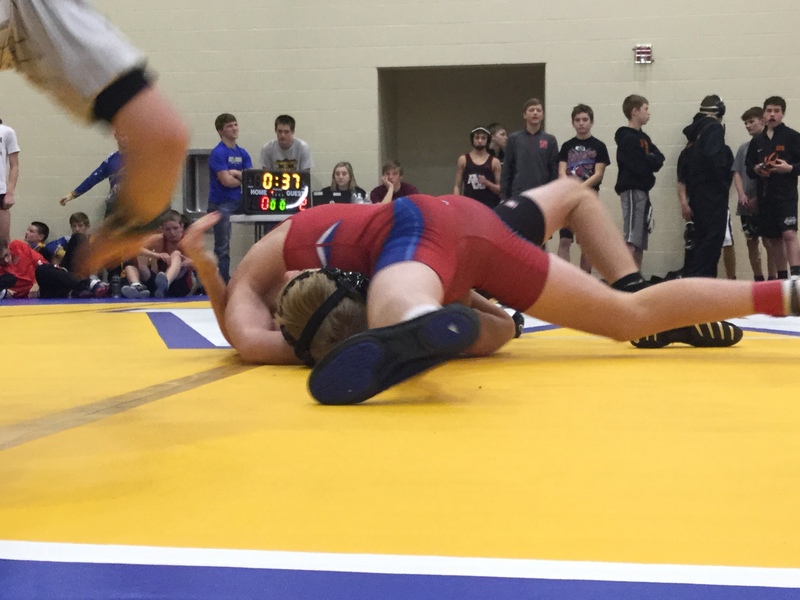 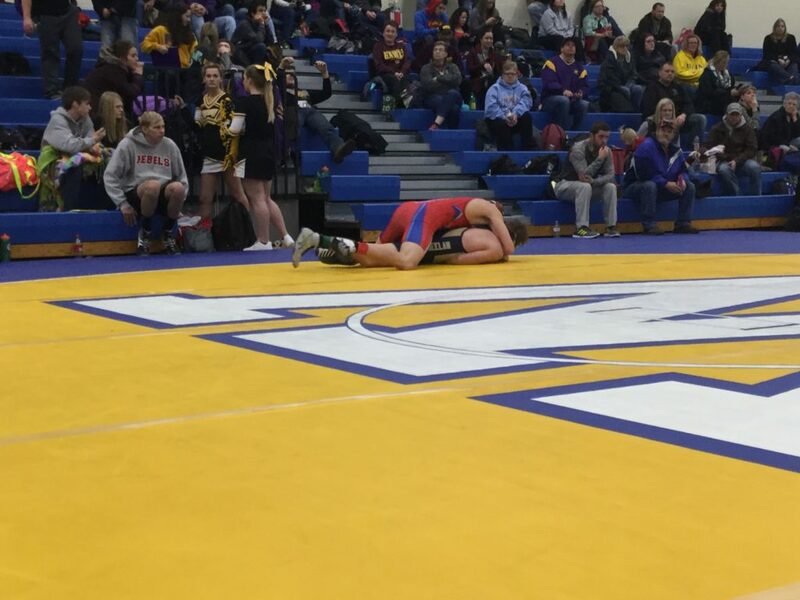 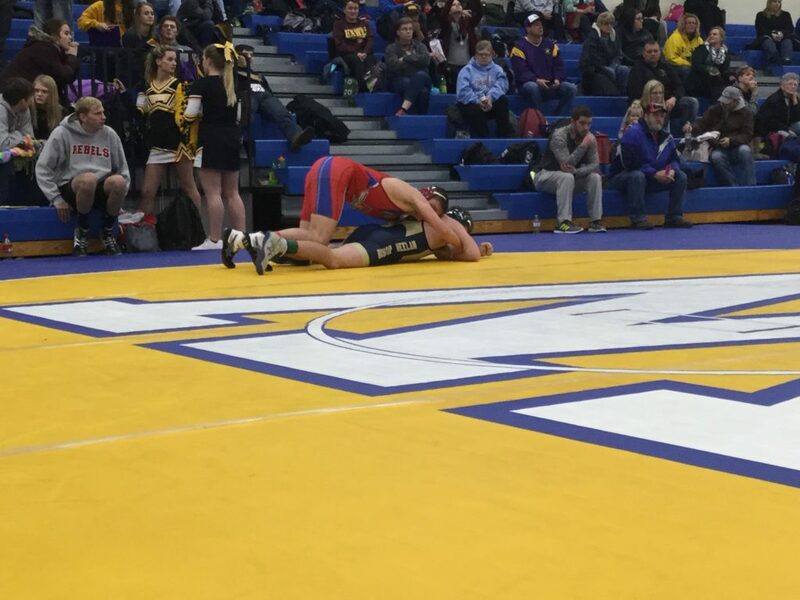 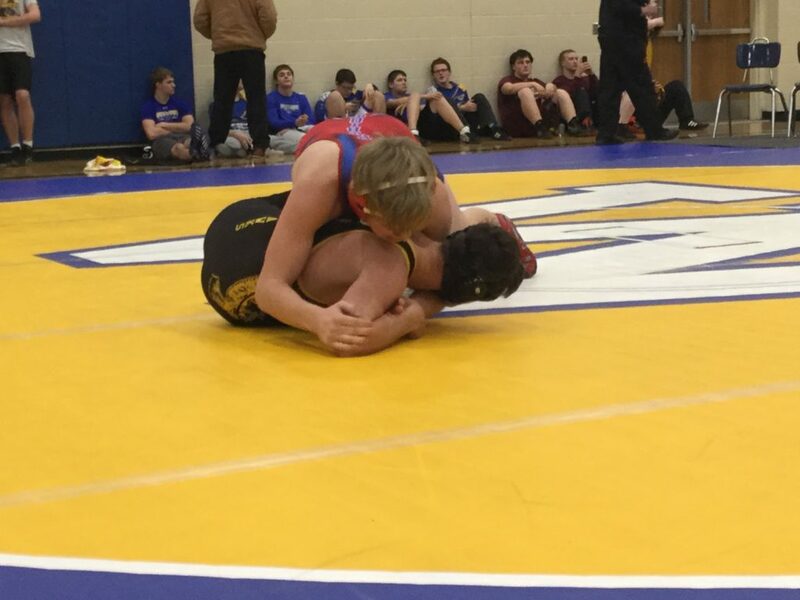 JV Tournament 132-134 A – Barrett Hermanson’s place is 2nd and has scored 12.00 team points. 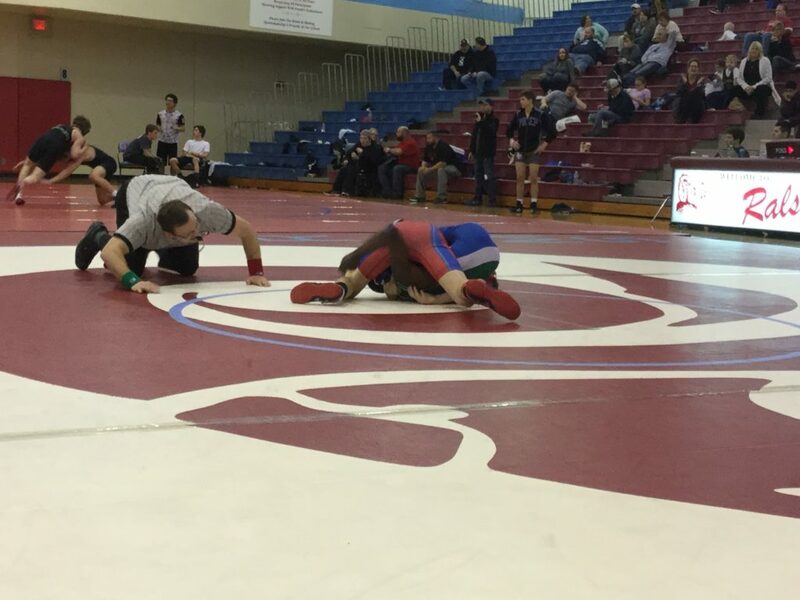 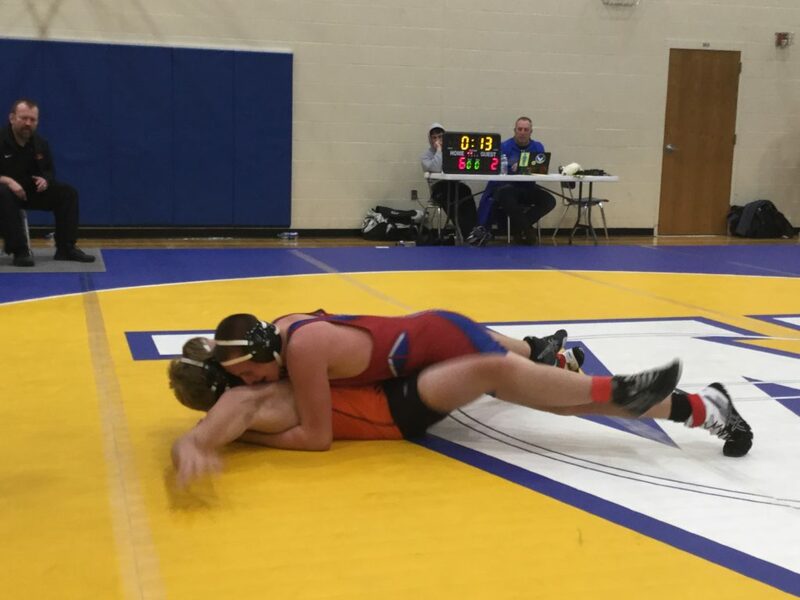 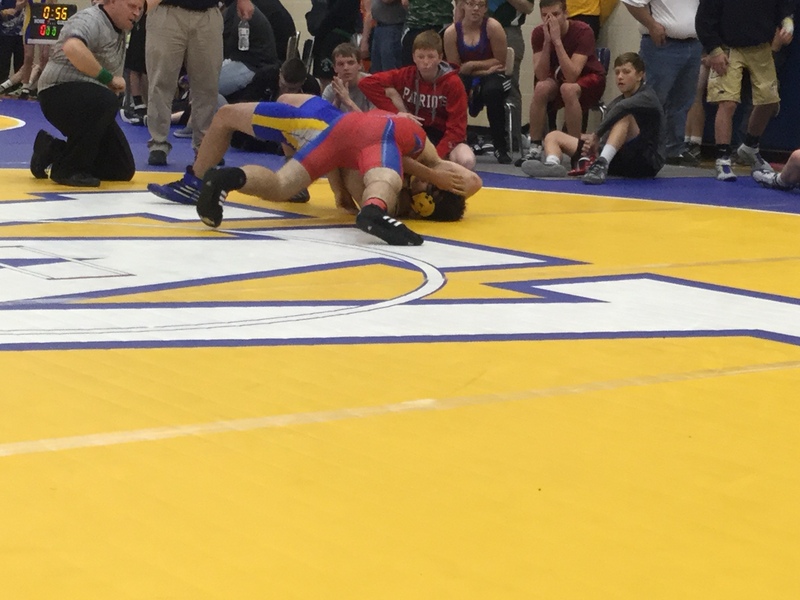 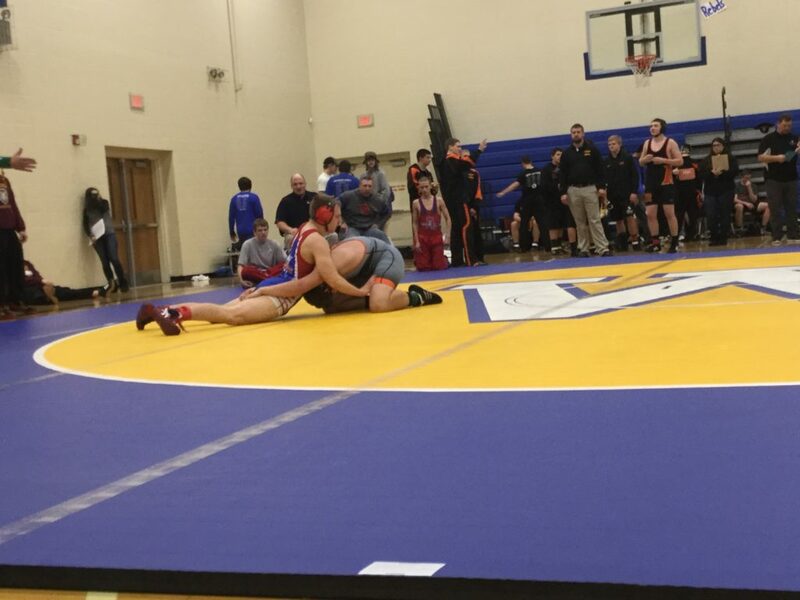 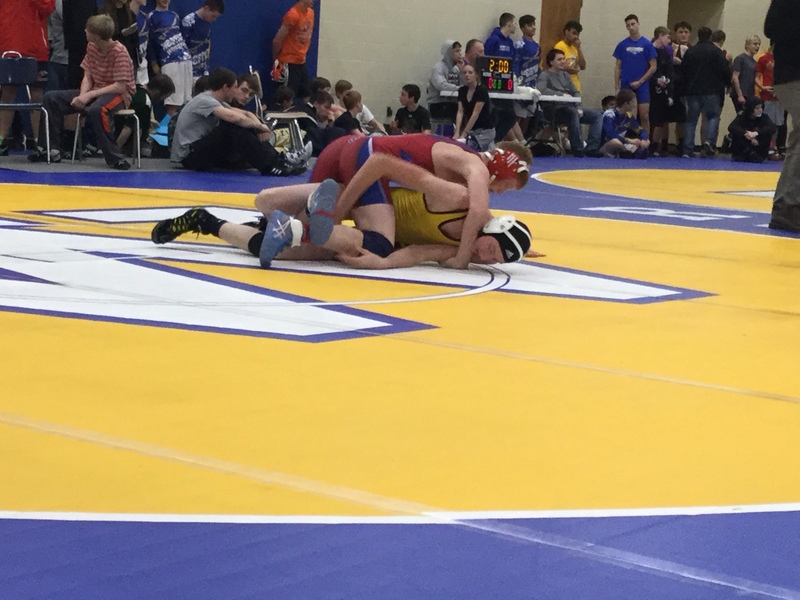 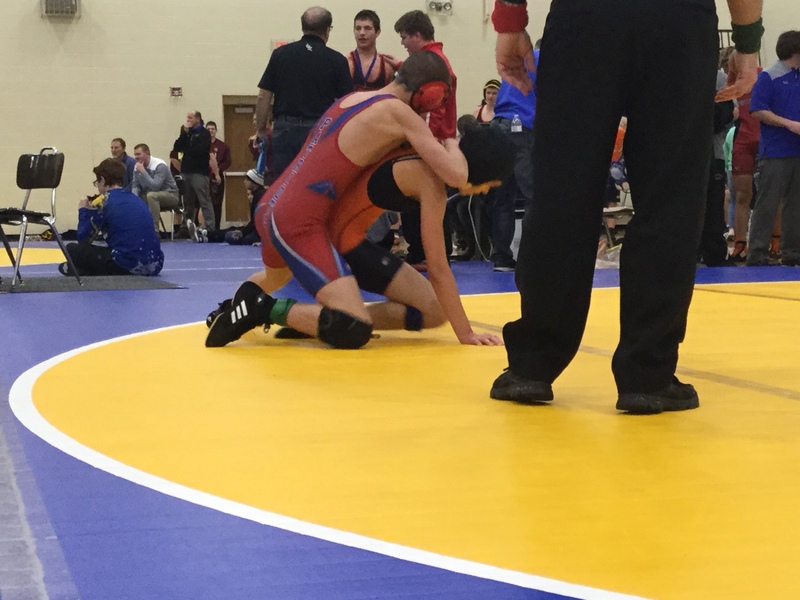 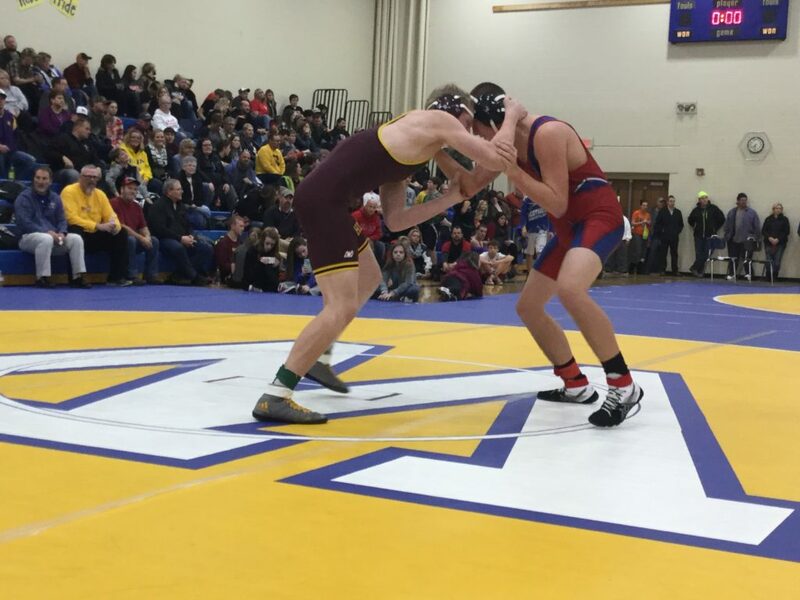 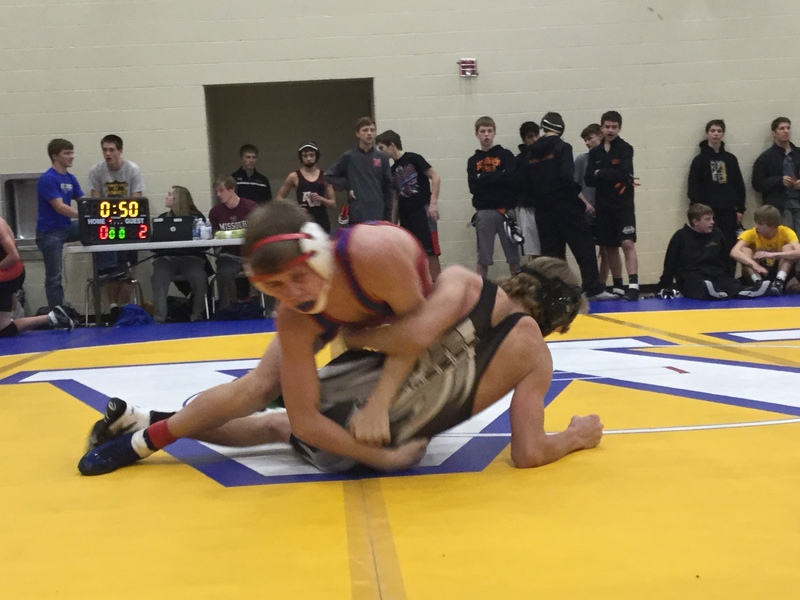 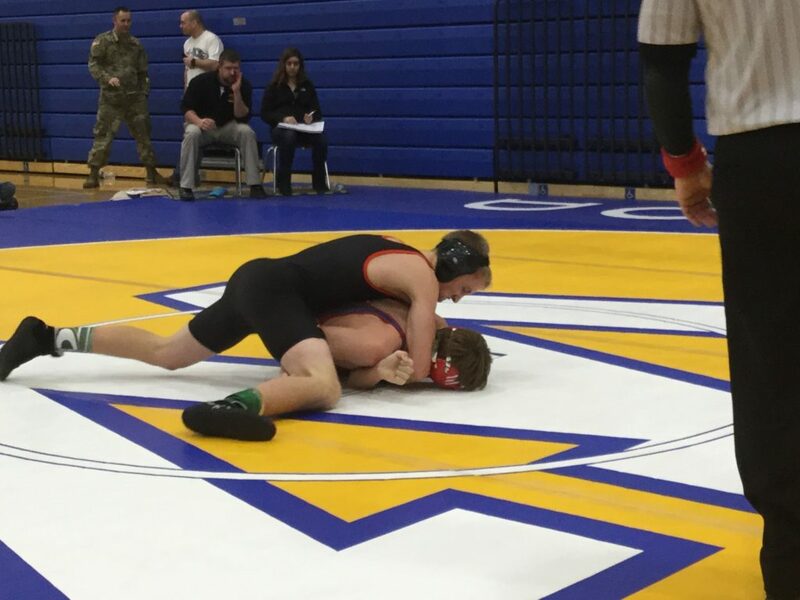 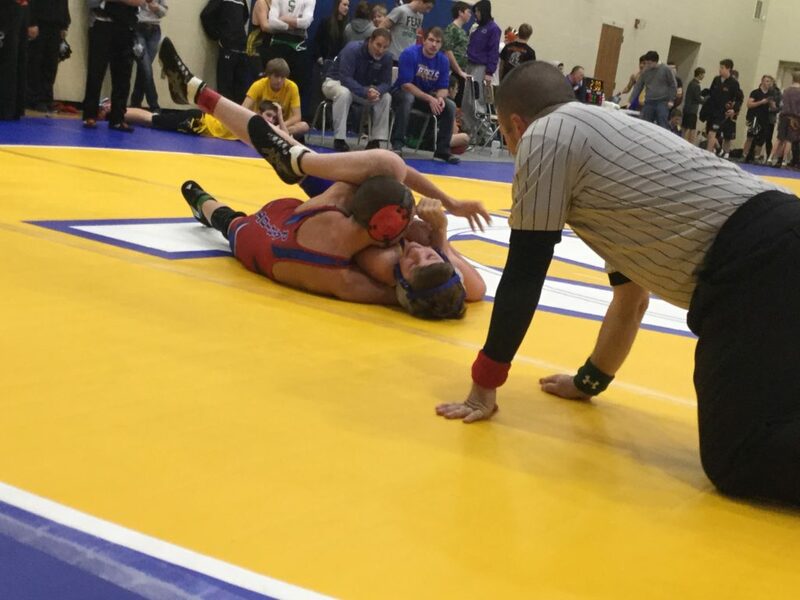 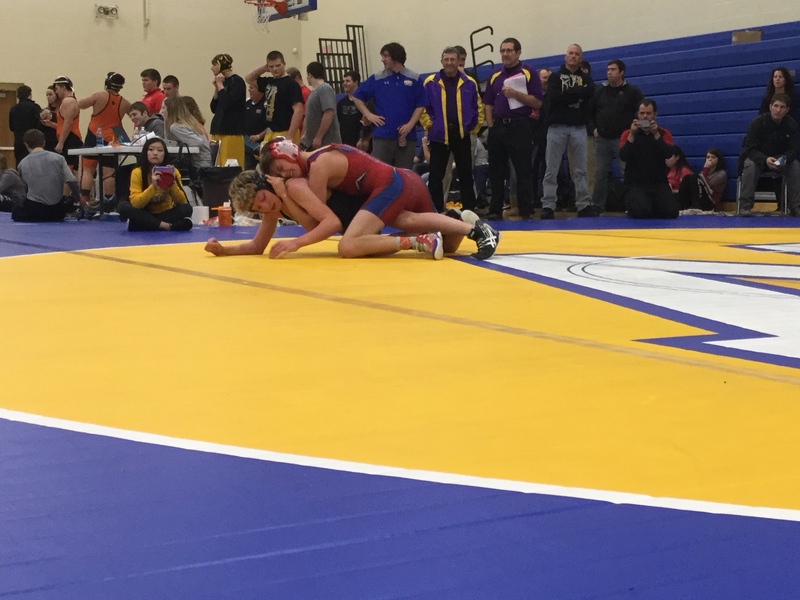 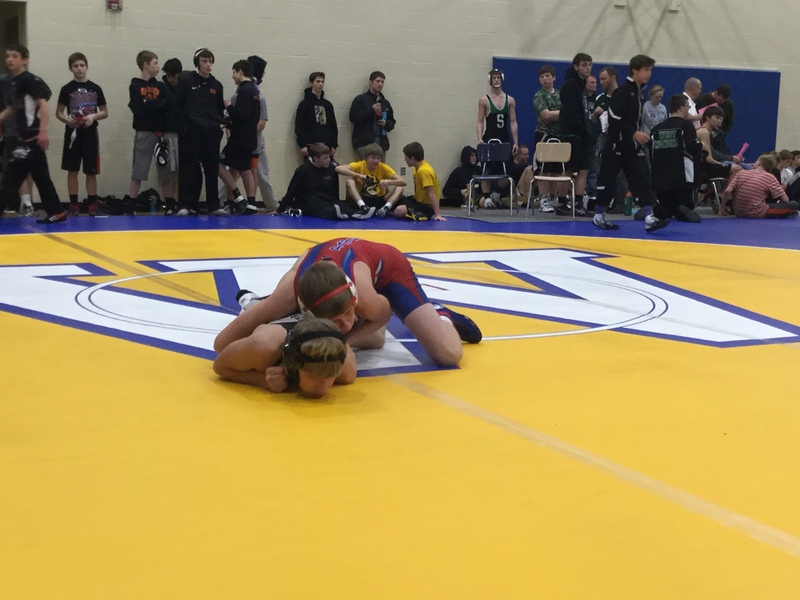 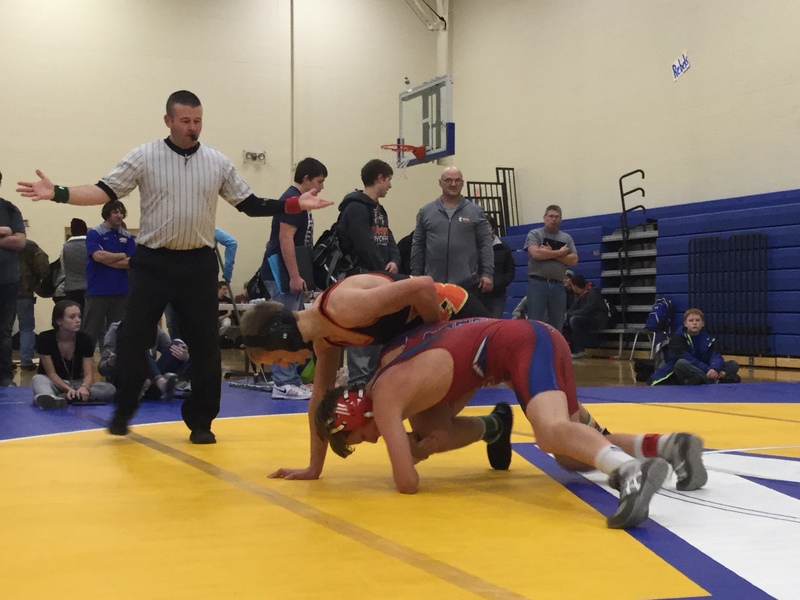 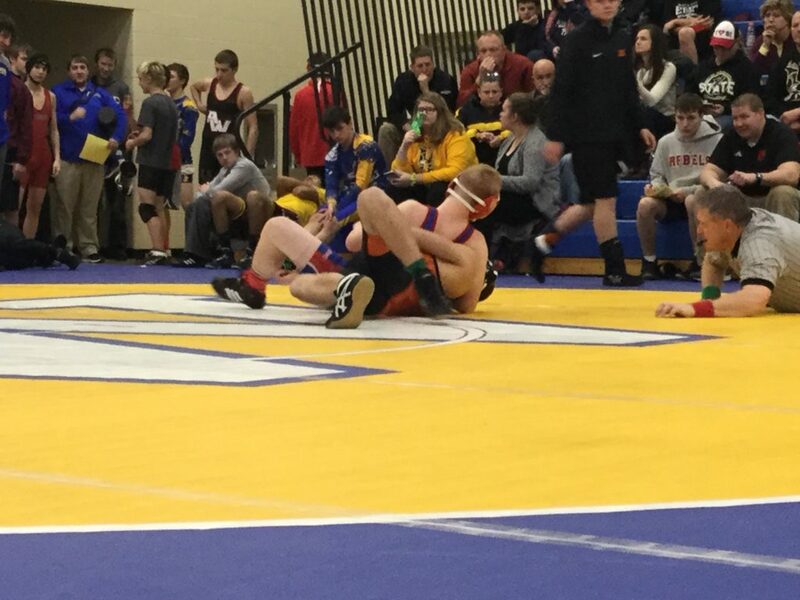 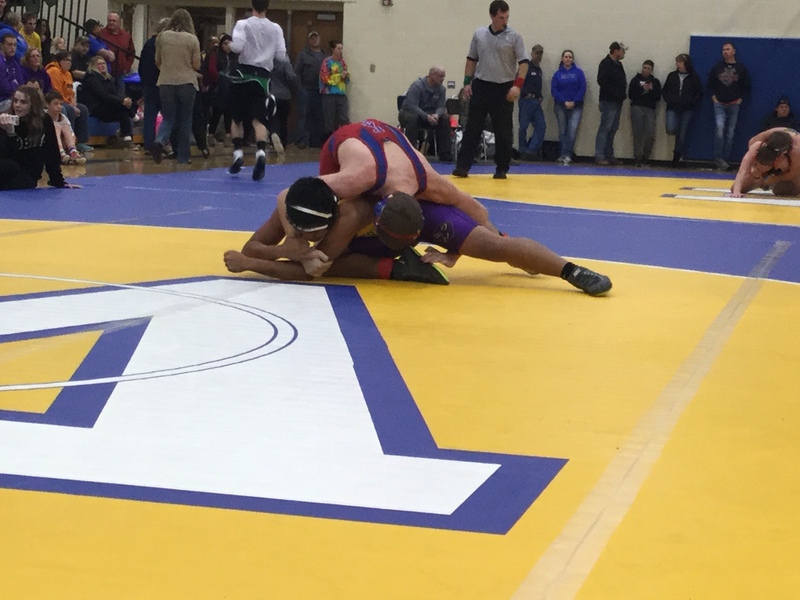 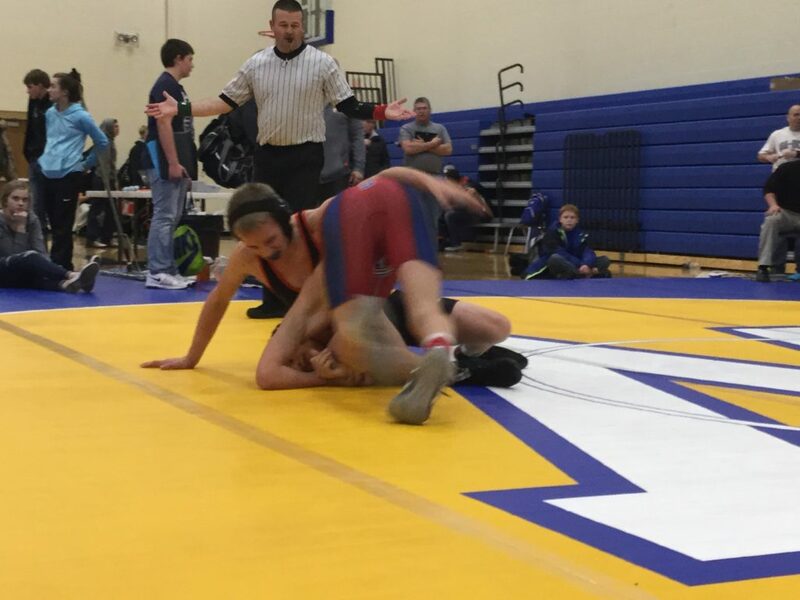 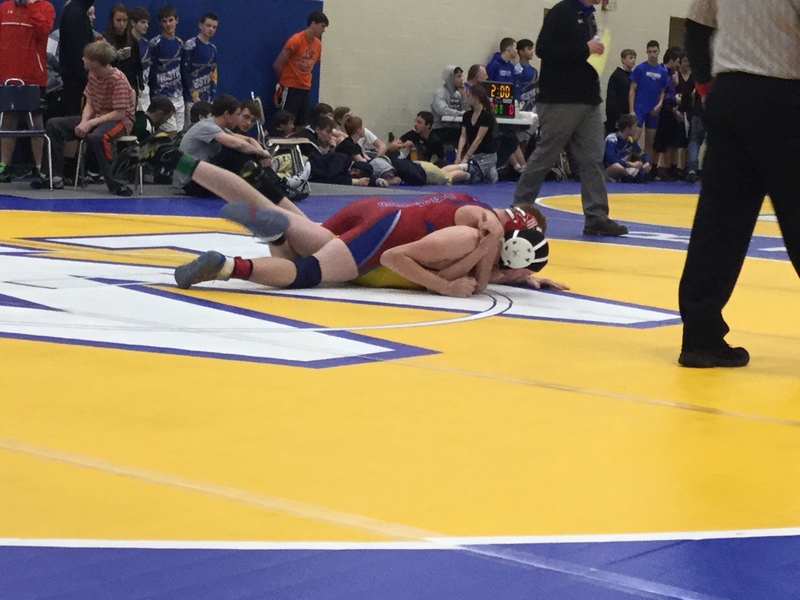 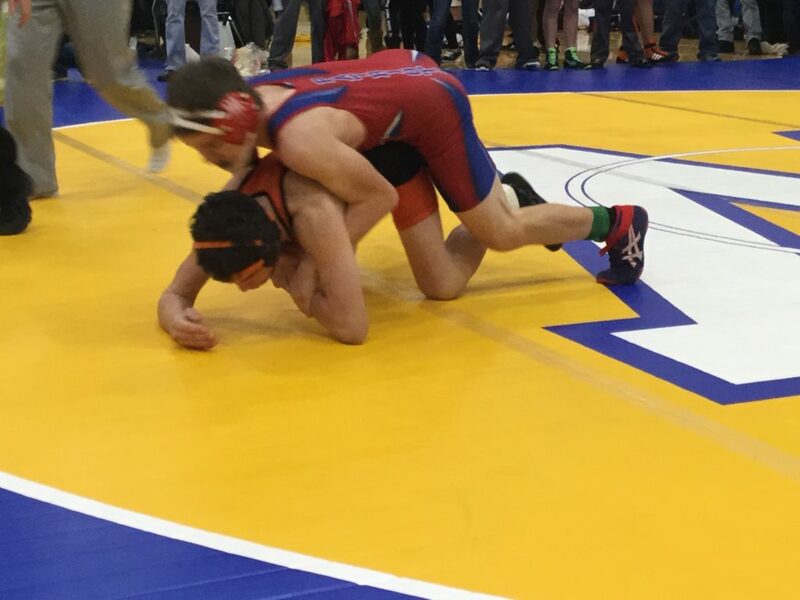 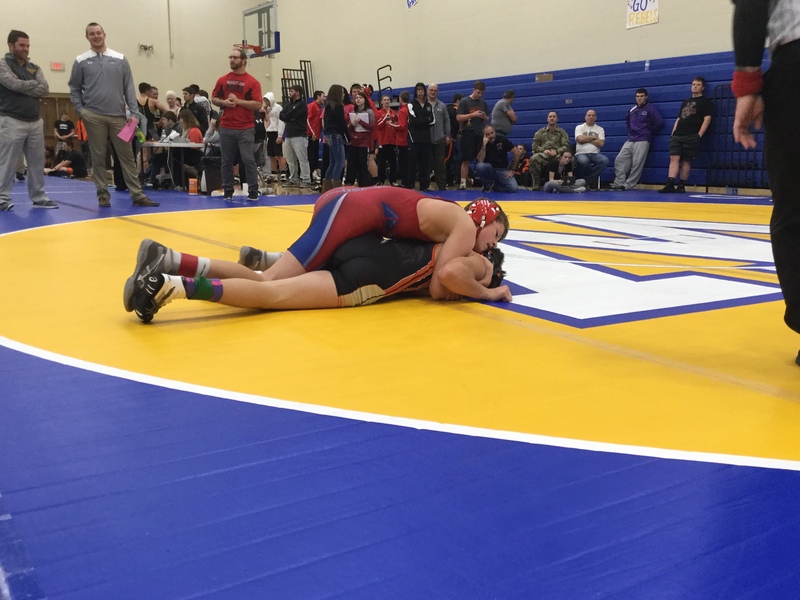 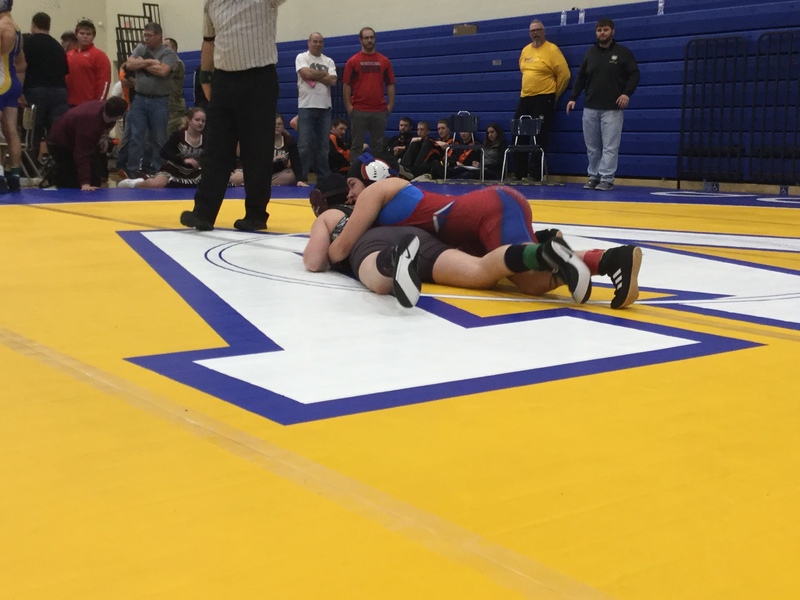 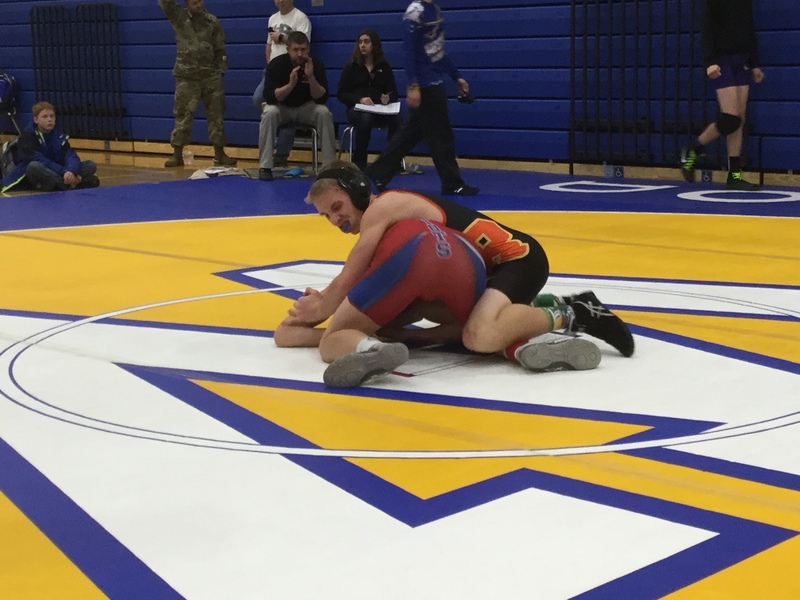 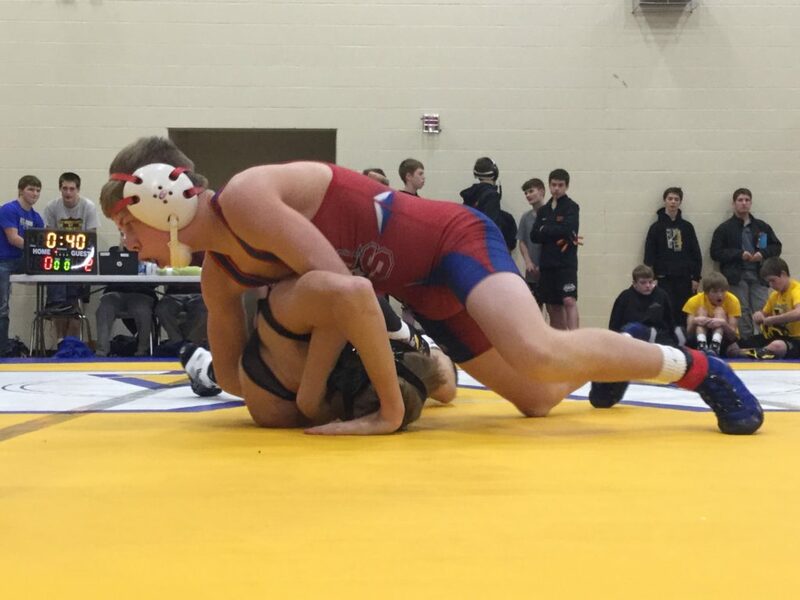 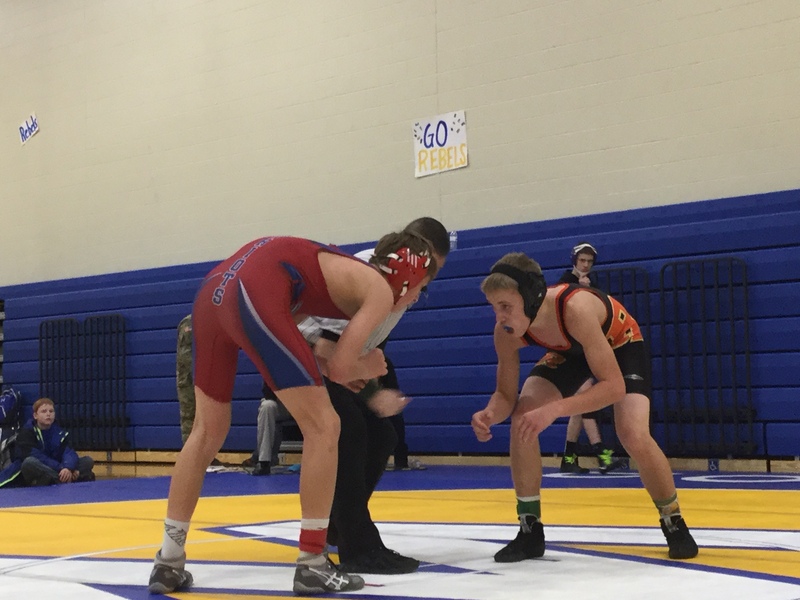 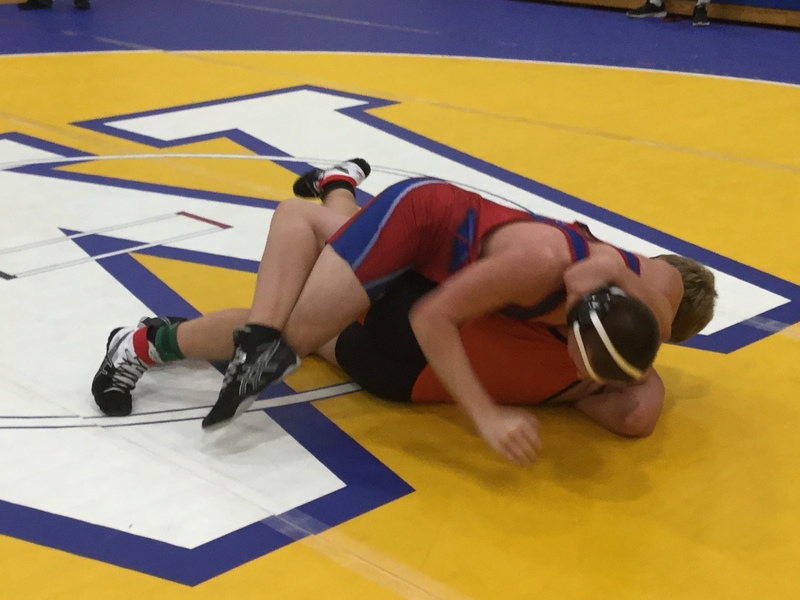 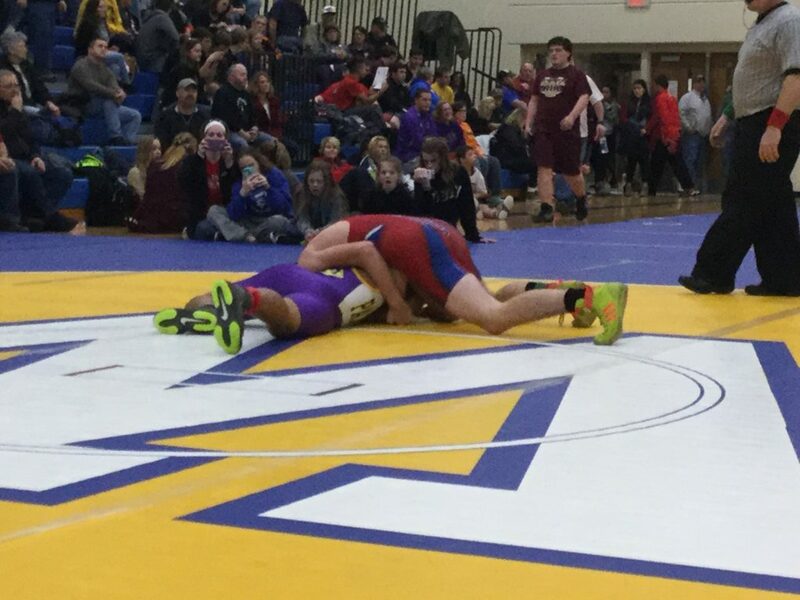 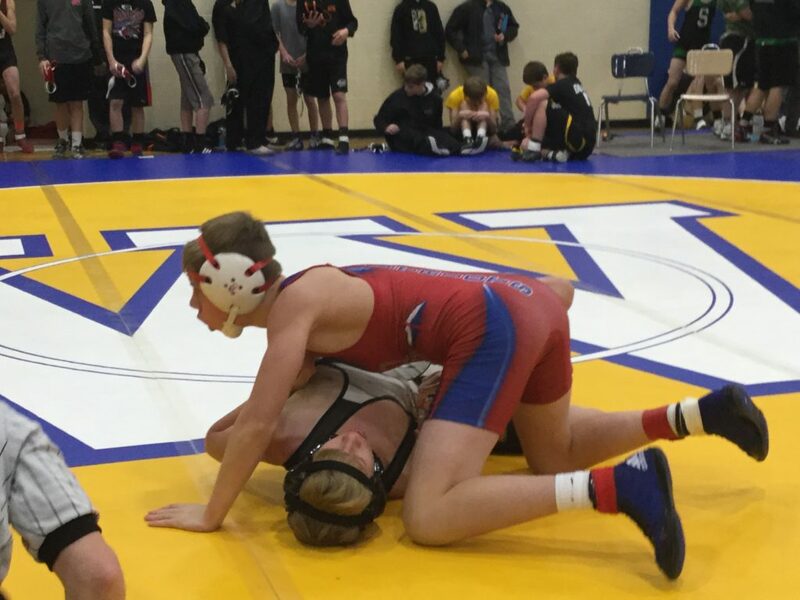 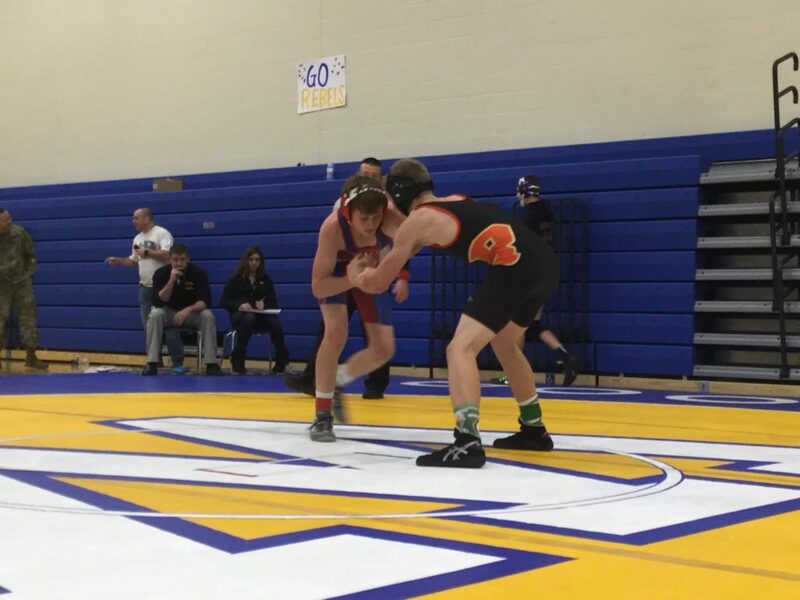 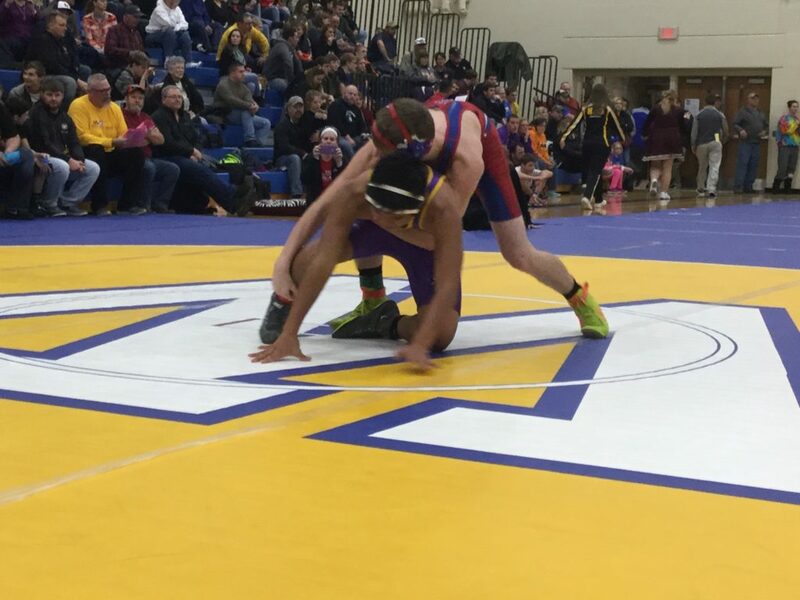 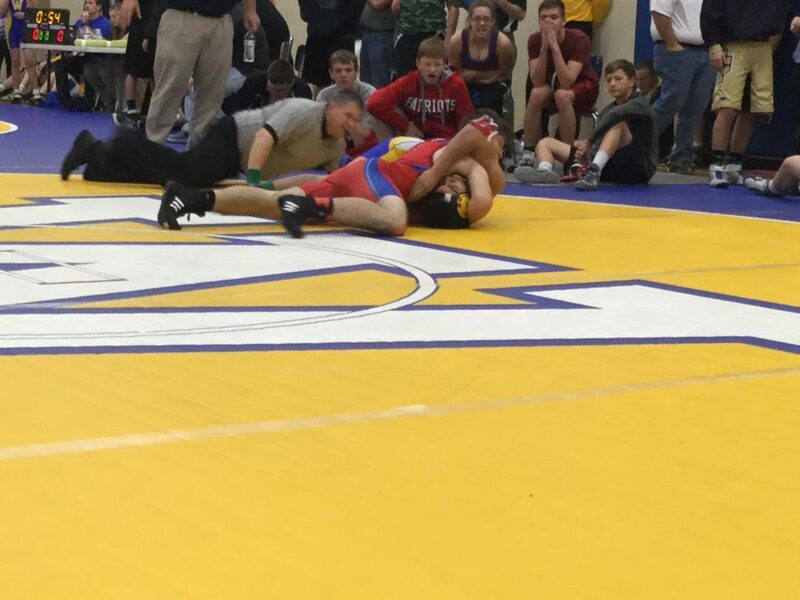 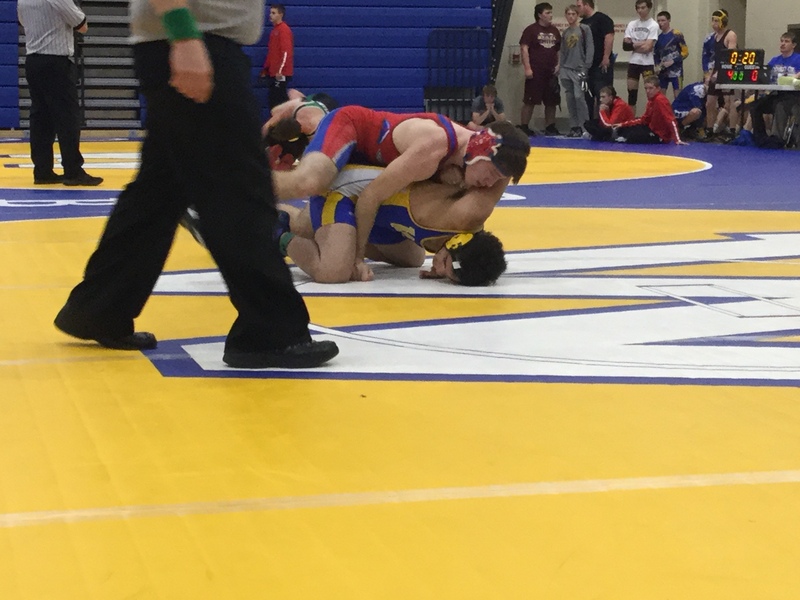 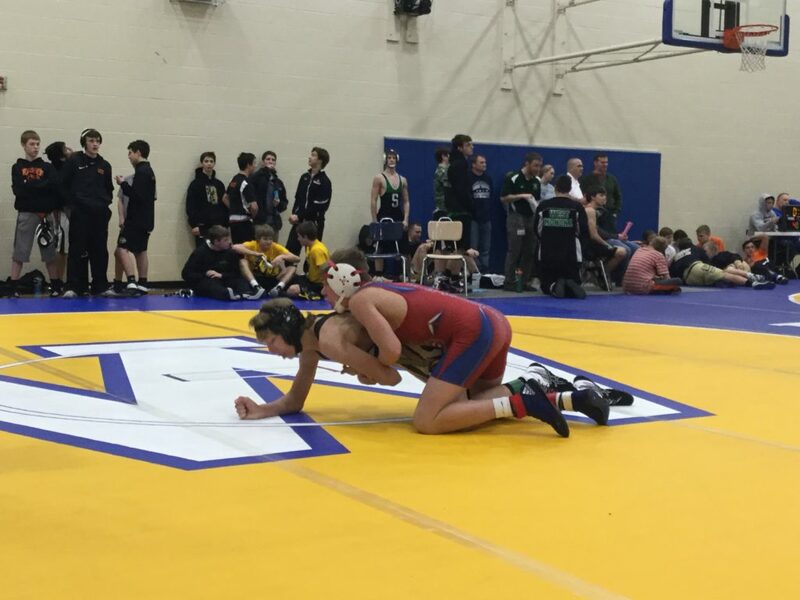 JV Tournament 132-134 B – Brad Porter’s place is 3rd and has scored 9.00 team points. 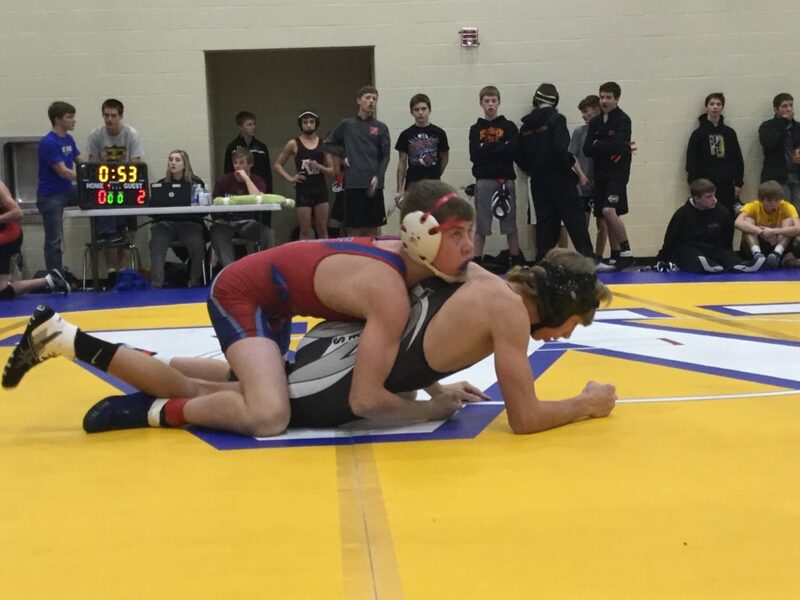 JV Tournament 140-145 – Mason McNatt’s place is 2nd and has scored 14.00 team points. 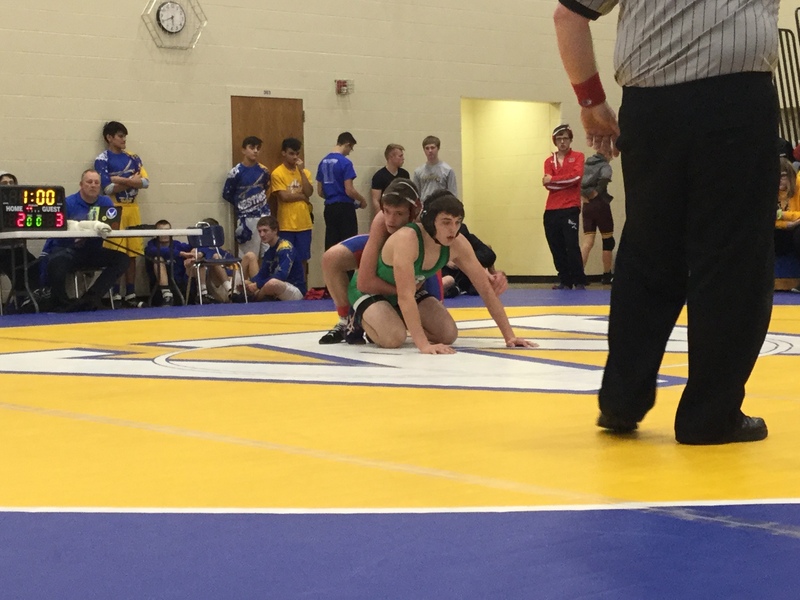 JV Tournament 151-154 – Garrett Grossman’s place is 2nd and has scored 14.00 team points. 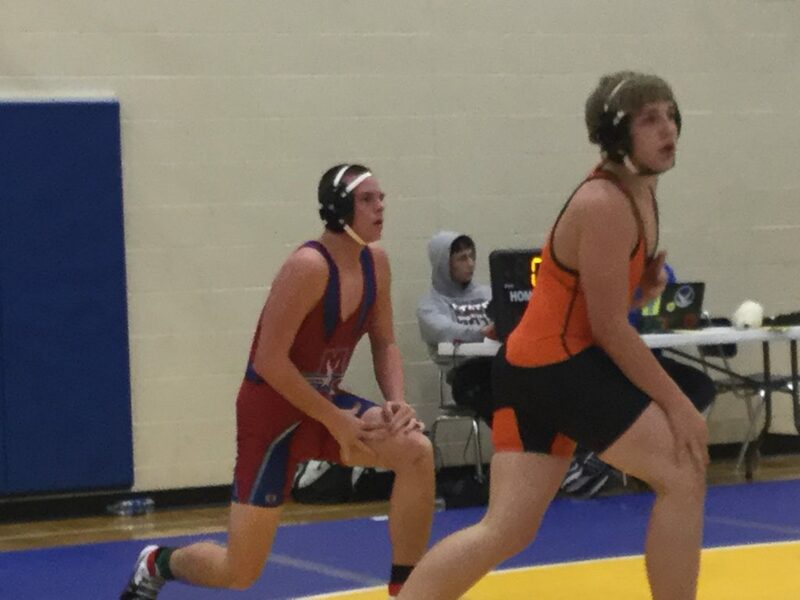 JV Tournament 152-156 – Drake Angerman’s place is 2nd and has scored 12.00 team points. 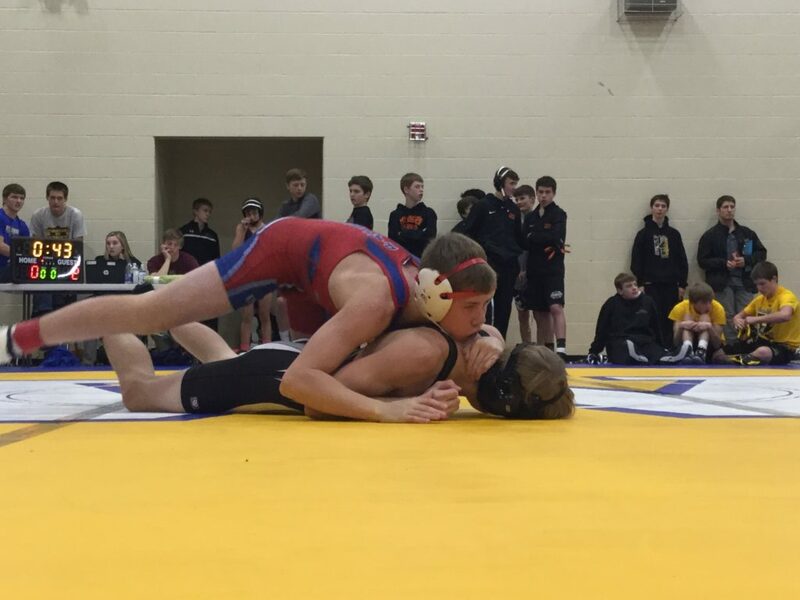 JV Tournament 158-160 – Chaissen Hirth’s place is 3rd and has scored 7.00 team points. 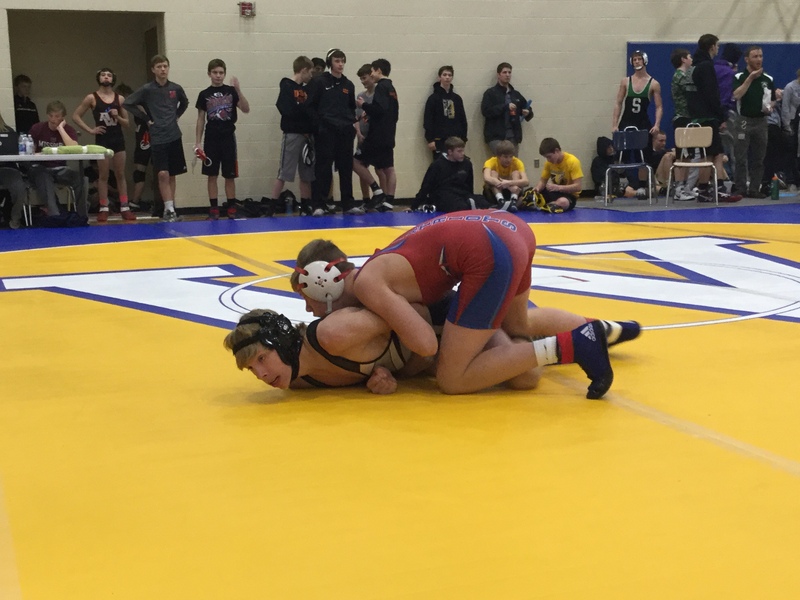 JV Tournament 158-162 – Zach Larson’s place is 3rd and has scored 9.00 team points. 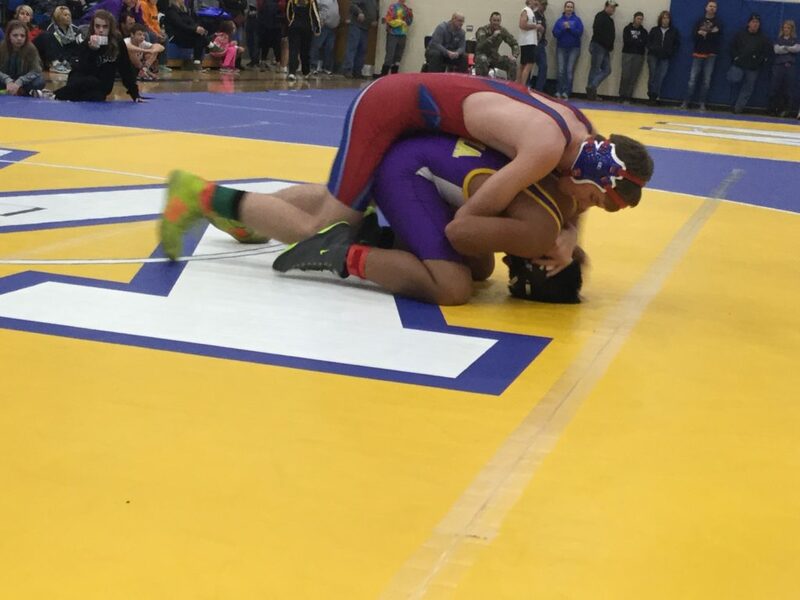 JV Tournament 167-180 – Cade Sortino’s place is 2nd and has scored 10.00 team points.